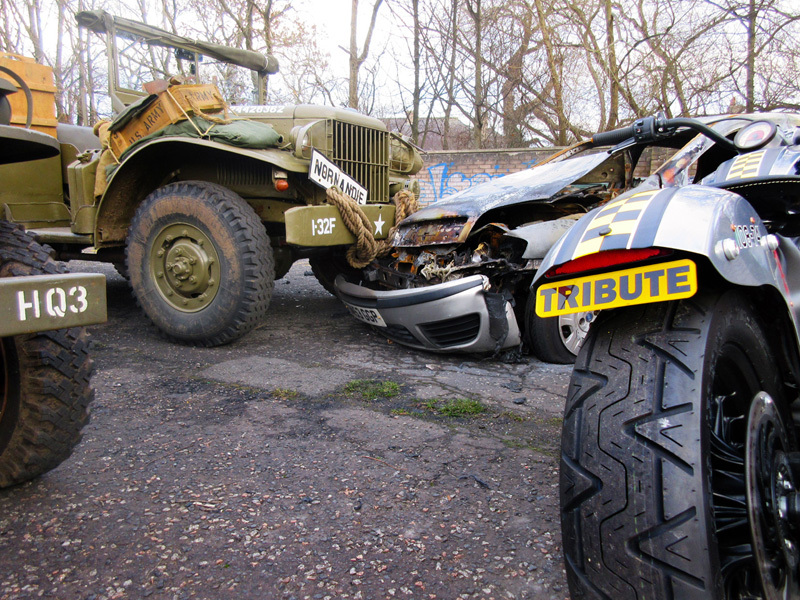 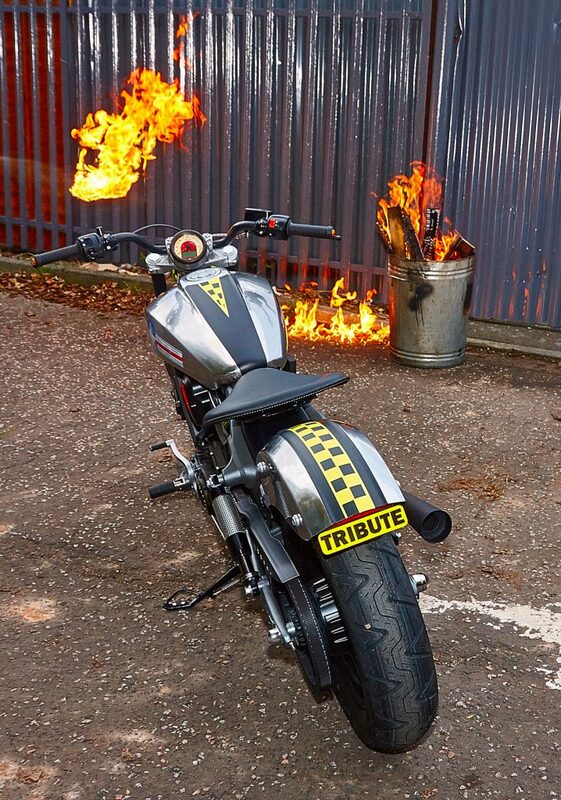 Tribute is now sold and we're delighted to announce that it's going to the perfect home. 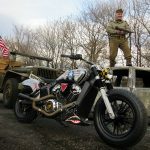 Kris is a former US Marine (although he would most probably point out that there's no such thing as a ''FORMER'' Marine) who's passion for motorcycling is enormous, and he believes that Tribute will be the perfect complement to the existing stable of a Yamaha MT09 (for quick thrashes up and down the mountain) and a Ducati Diavel (for sucking up the miles in style). 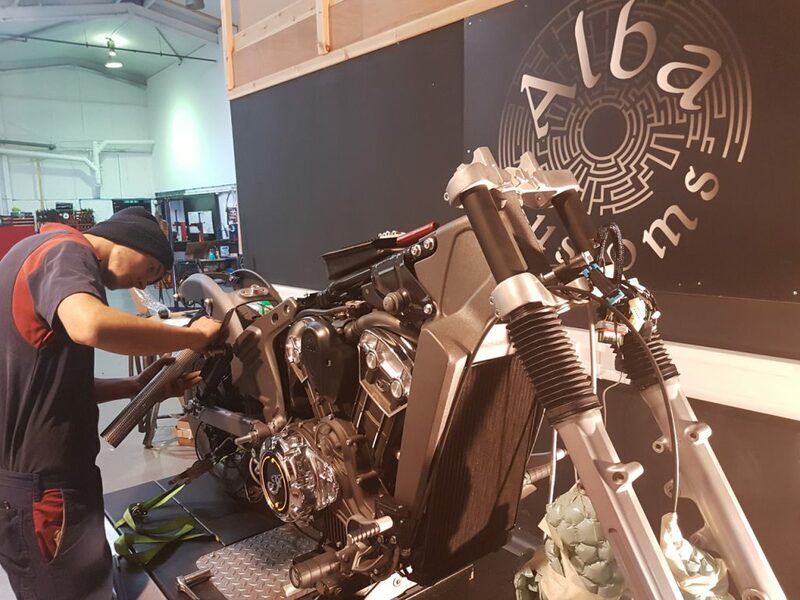 Tribute will be on display in the Alba Customs showroom until May 2018, at which point it'll be delivered to Kris's house in Spain before being shipped back home to the U.S.A. 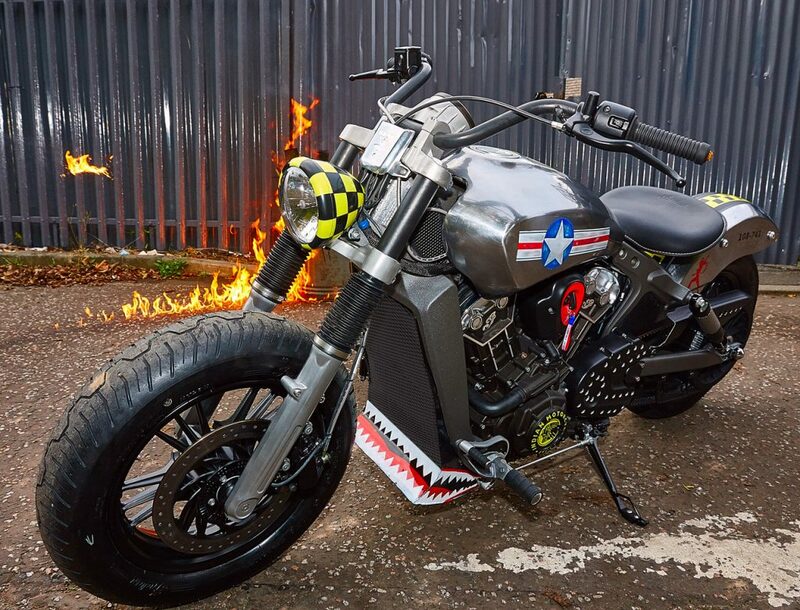 Thanks Kris, we wish you many miles of peaceful smiles on our first ever custom build, we feel certain you'll have as much fun riding Tribute as we did during its creation and launch. 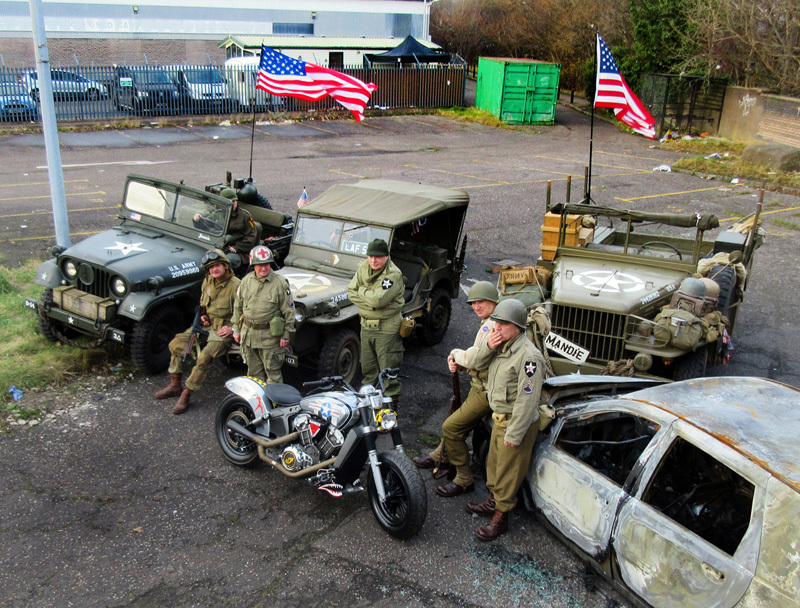 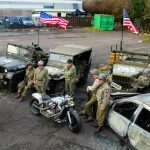 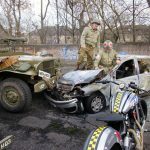 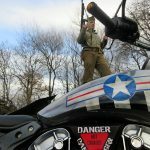 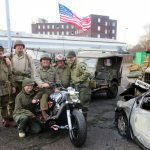 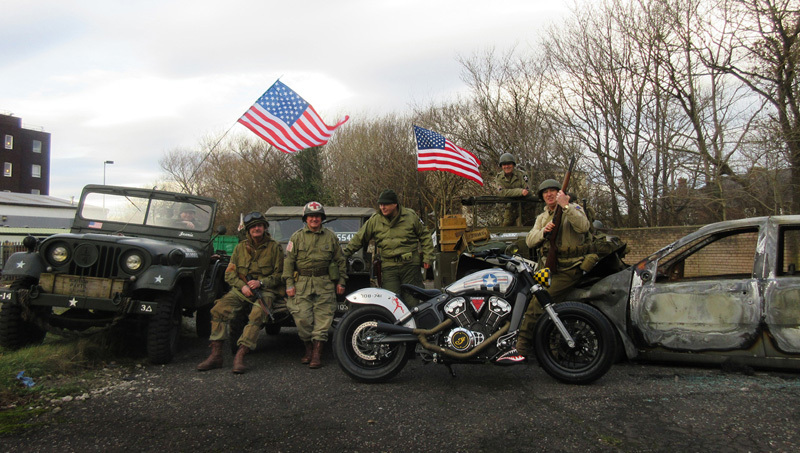 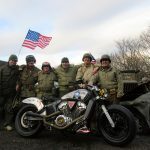 In the meantime we look forward to the final photoshoot, when we hand over the charity cheques for all profits from the build to SSAFA and Combat Stress. 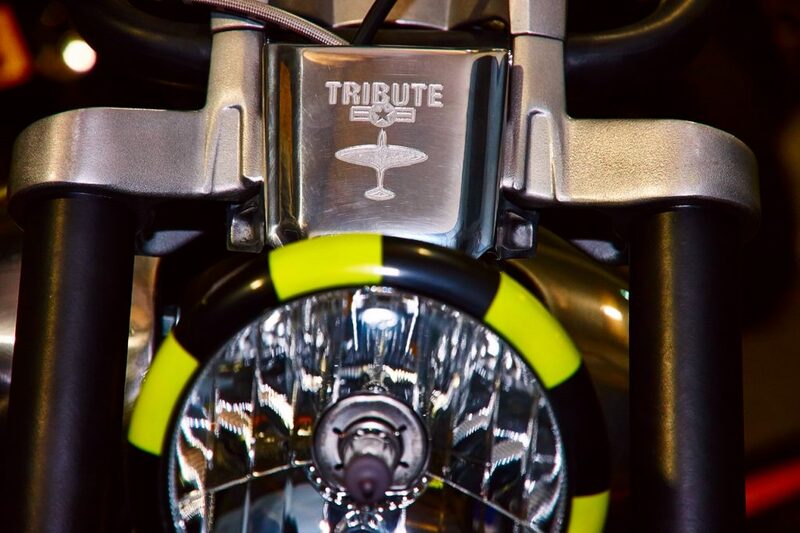 We'd like to take this opportunity to thank you all for the support you've offered in following Tribute and Project Scout, watch this space for our next build. 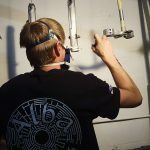 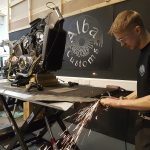 Or why not contact us to see if we can create something especially for you? 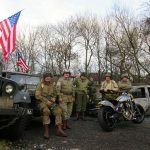 In a time where mental health issues were not so strongly considered, and most certainly not so strongly supported, these men had extreme difficulty reintegrating into "normal life". 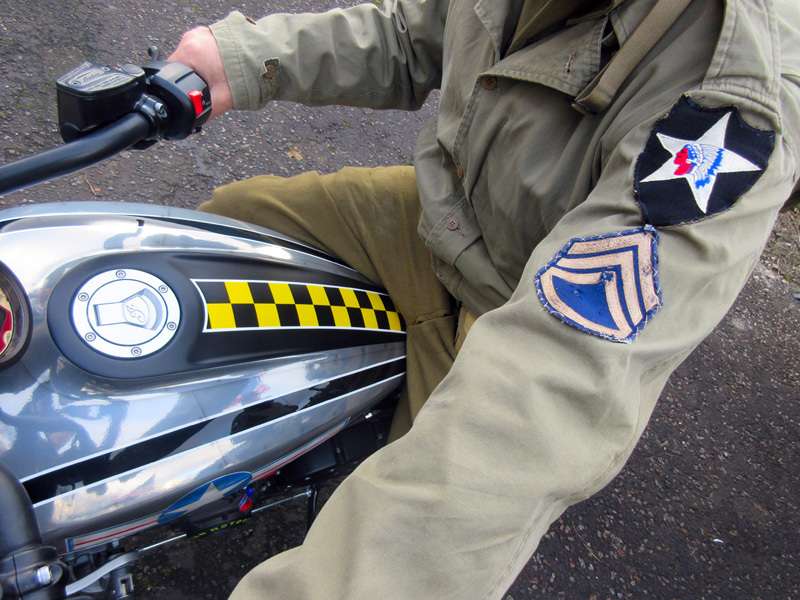 Every day roles and tasks seemed pointless and society in general appeared ridiculous. 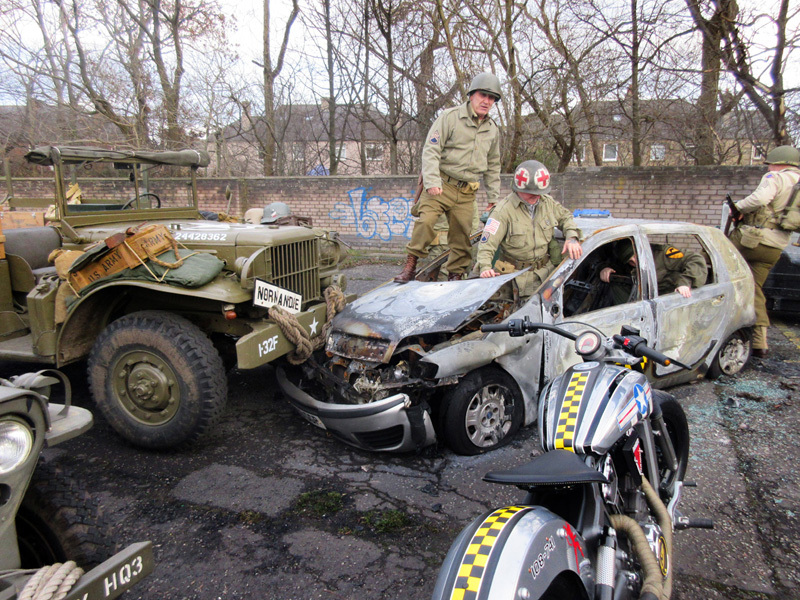 The only time and place these suffering souls gained any respite was whilst riding the motorcycles of the day. 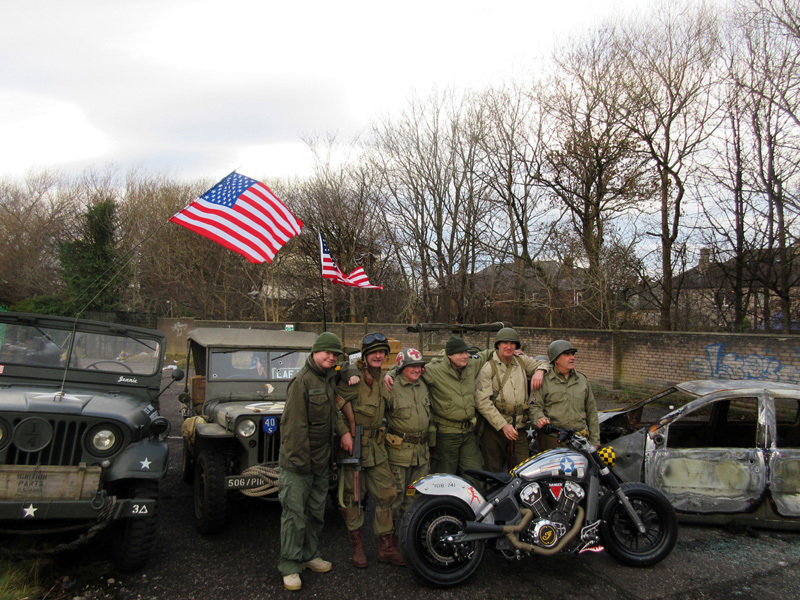 A great number of these men found it utterly impossible to accept the world as it was, thinking it was incomprehensible that this was the world they had fought for. 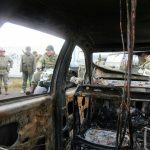 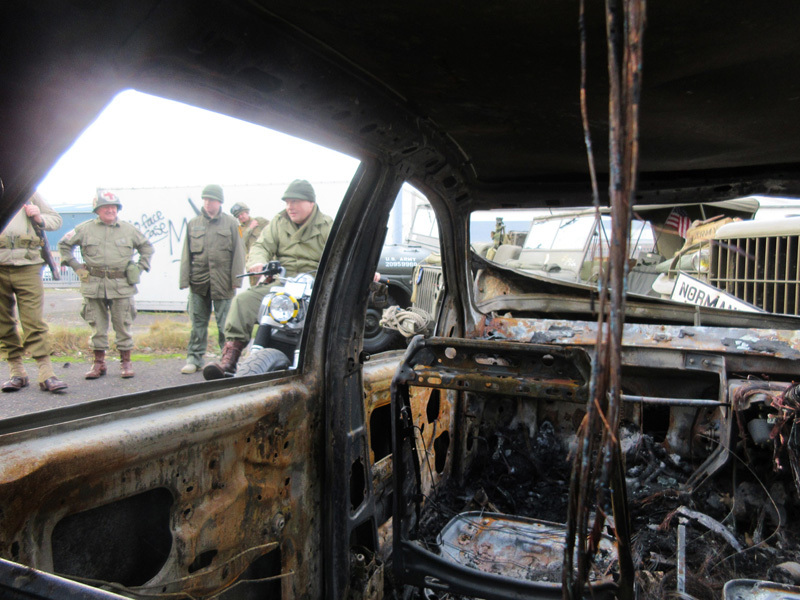 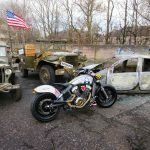 Quickly they found themselves on the fringes of society, riding with fellow drifters from town to town, often with a wake of destruction and disorder behind them, a shadowy imprint of the chaos inside their minds. 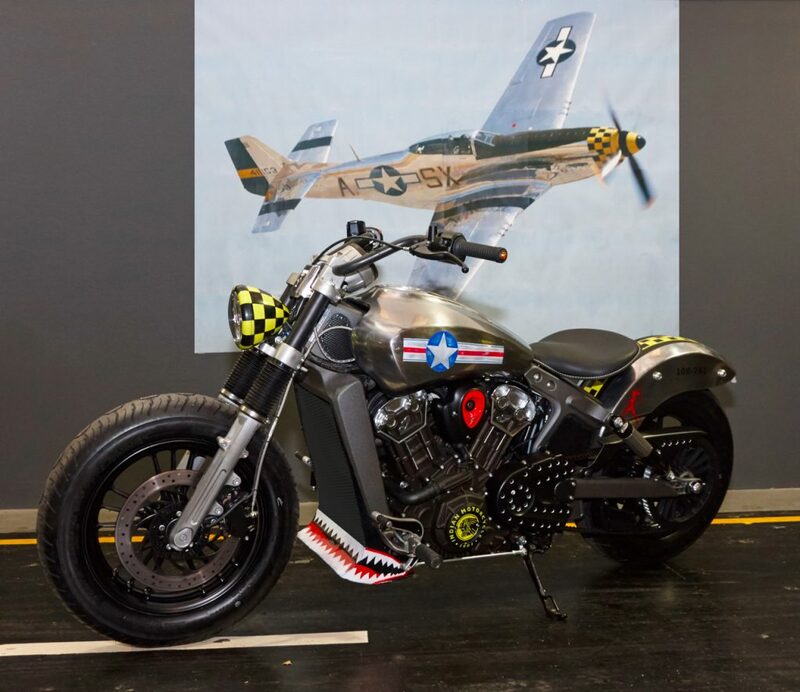 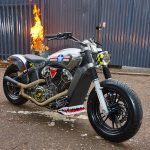 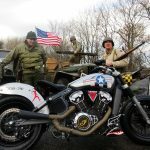 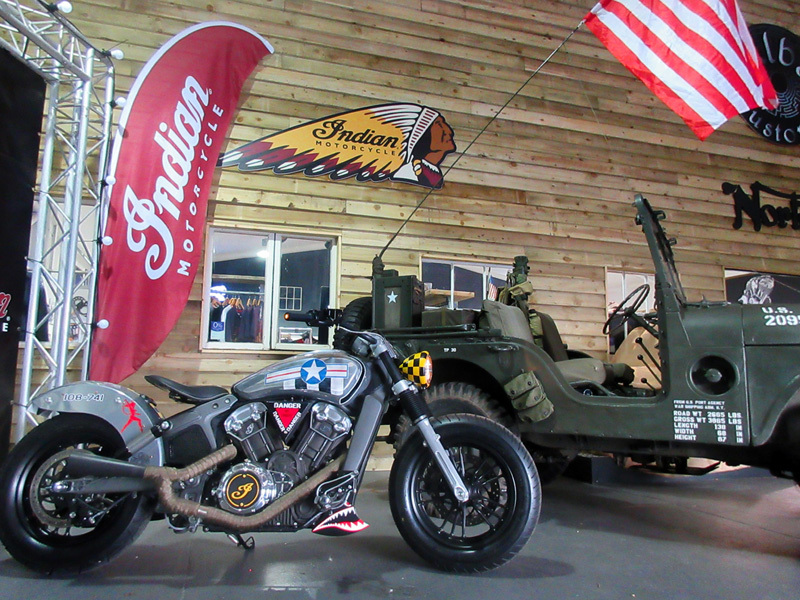 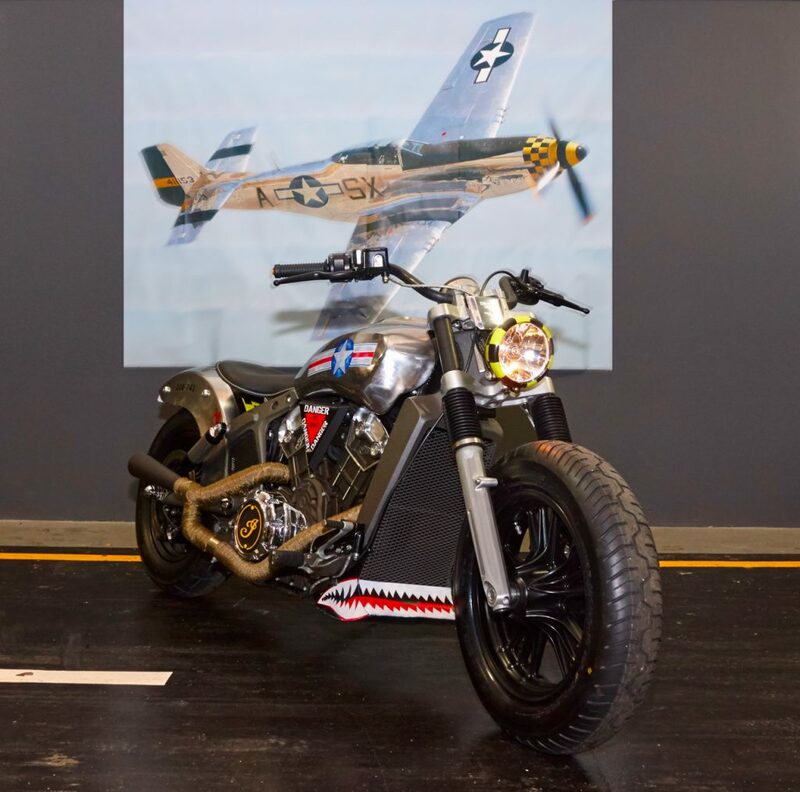 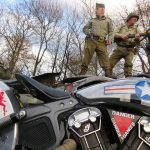 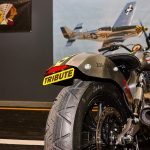 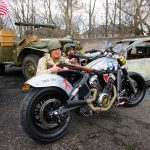 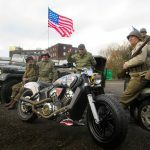 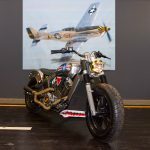 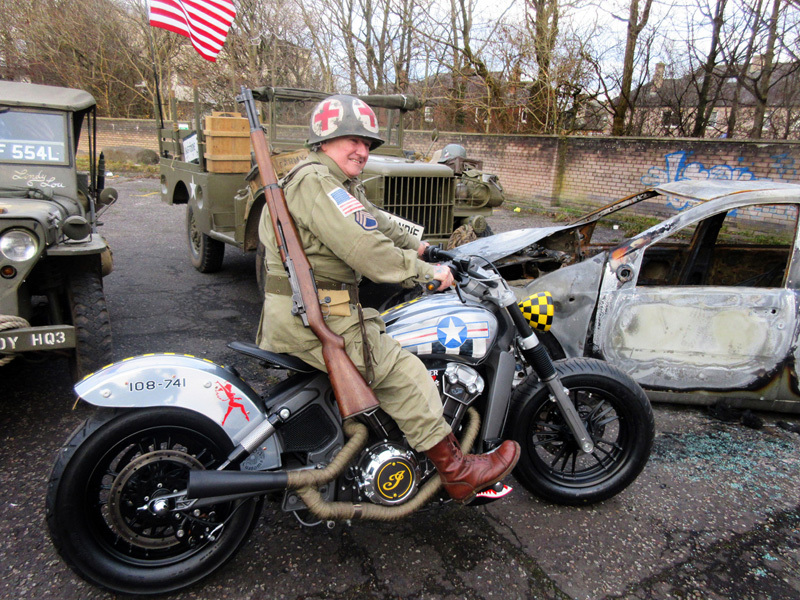 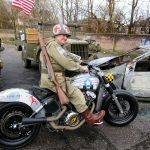 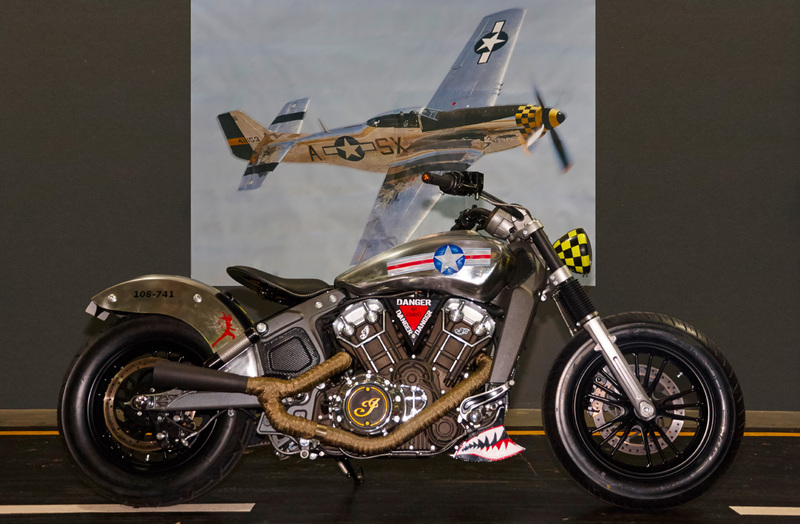 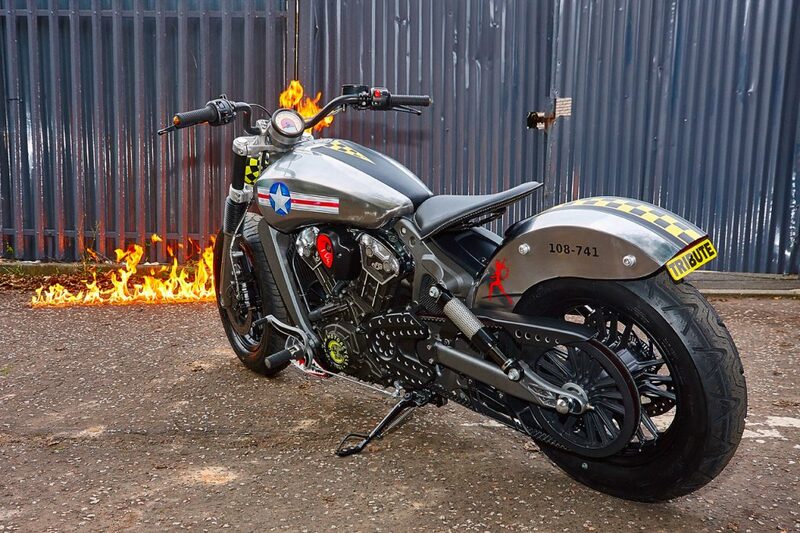 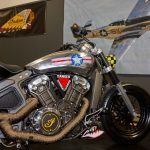 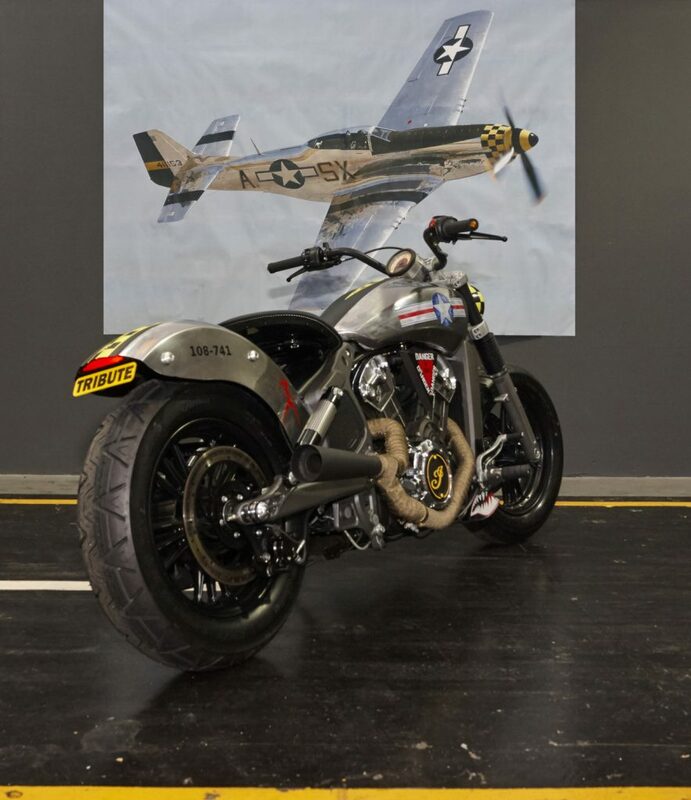 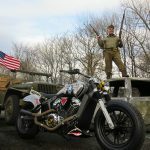 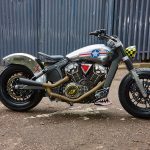 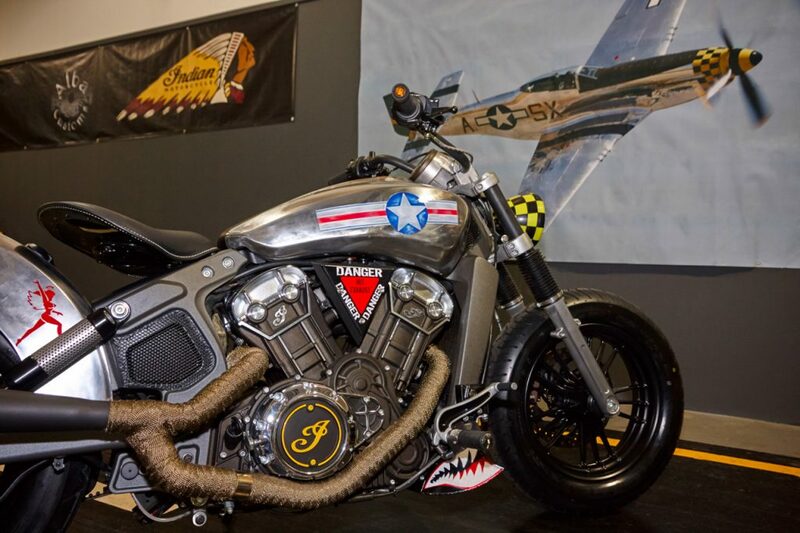 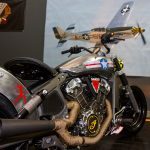 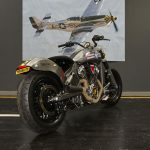 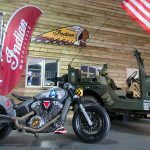 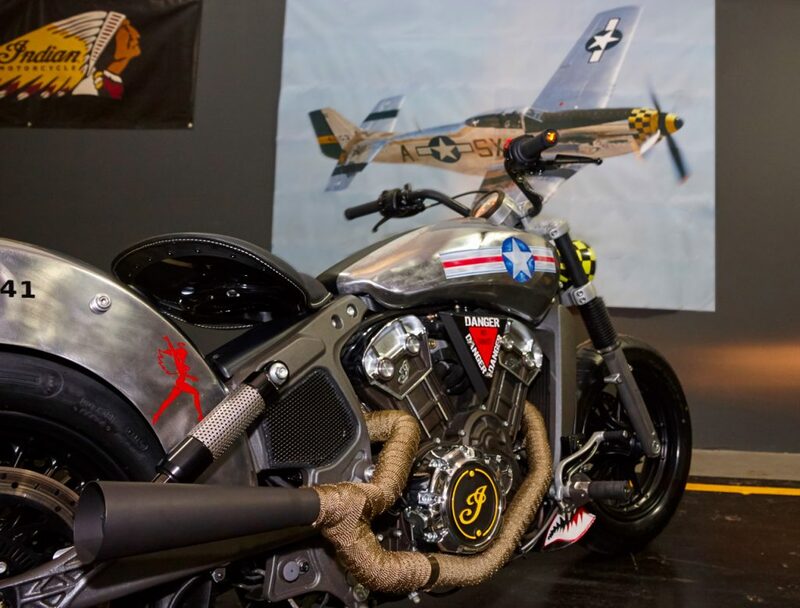 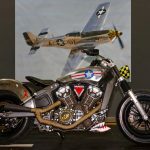 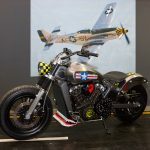 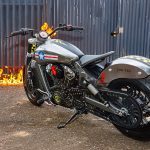 This Indian Scout is a modern day representation of the bikes these men rode in post war America and a TRIBUTE to every man, woman, child or soul who has ever suffered from the horrors of war. 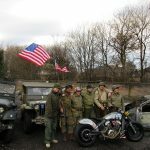 Here, in the 21st century, we find ourselves with the consolation that we now know the battle does not end when the war is over, the struggle continues in the minds of those who have suffered. 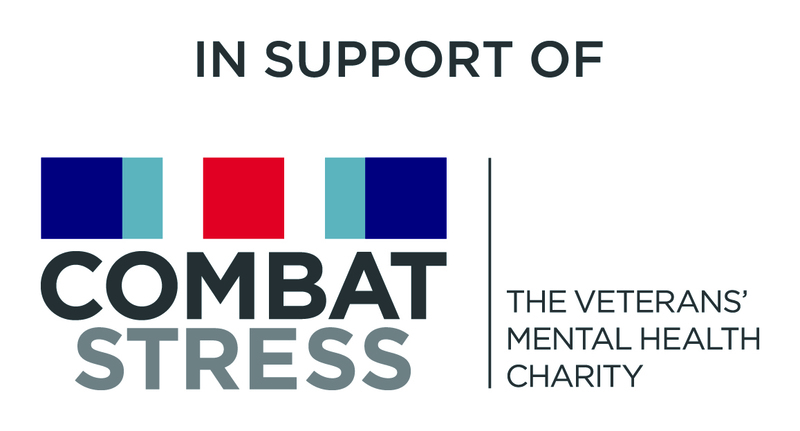 As such, we also wish to recognise and pay TRIBUTE to those who aid in the realms of PTSD rehabilitation. 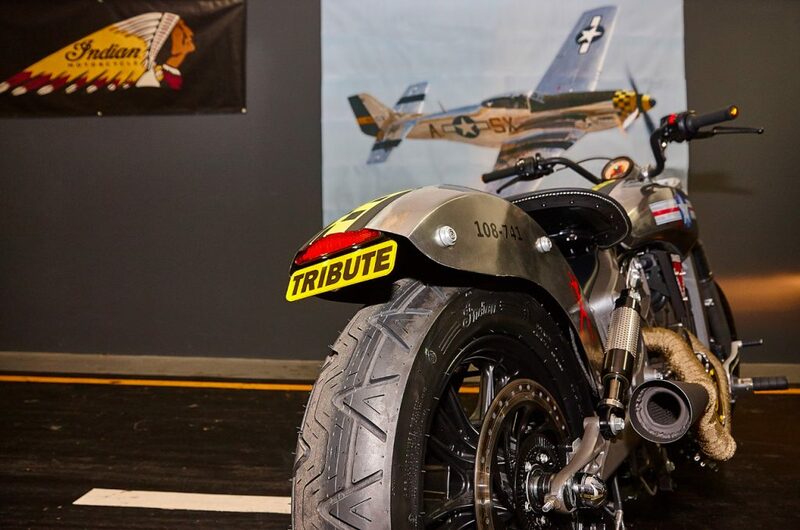 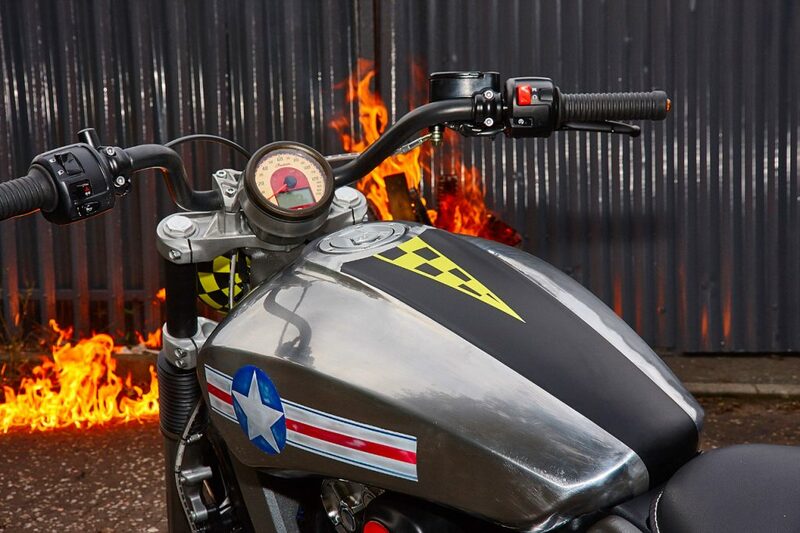 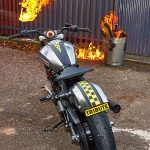 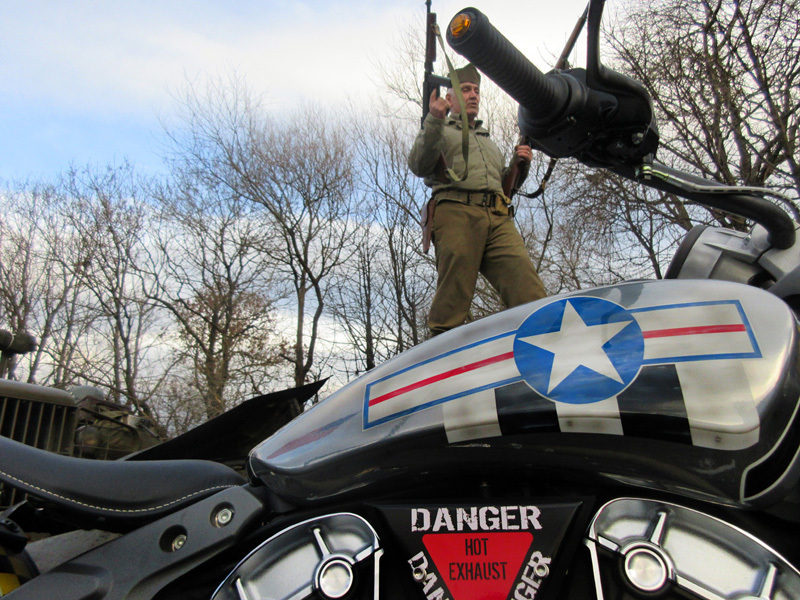 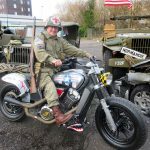 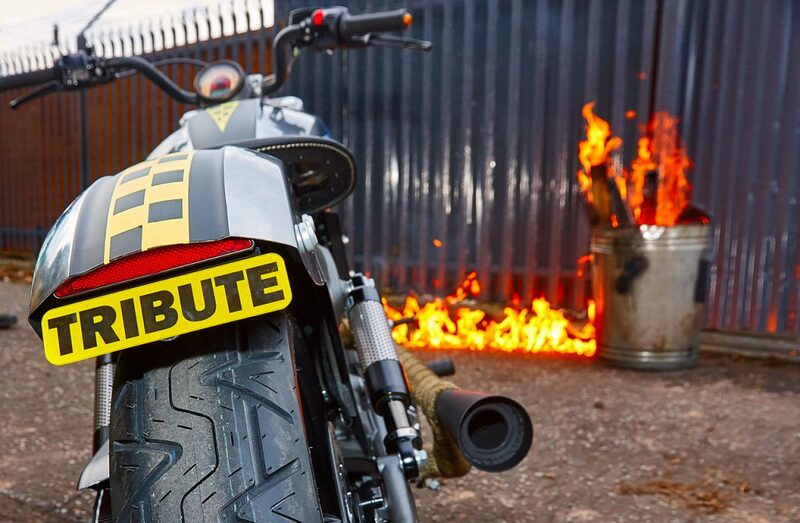 Our Tribute Scout is FOR SALE - Price £14,995 SOLD all profits over build cost are to be split evenly and donated to charities supporting ex-service personnel and PTSD rehabilitation. 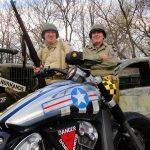 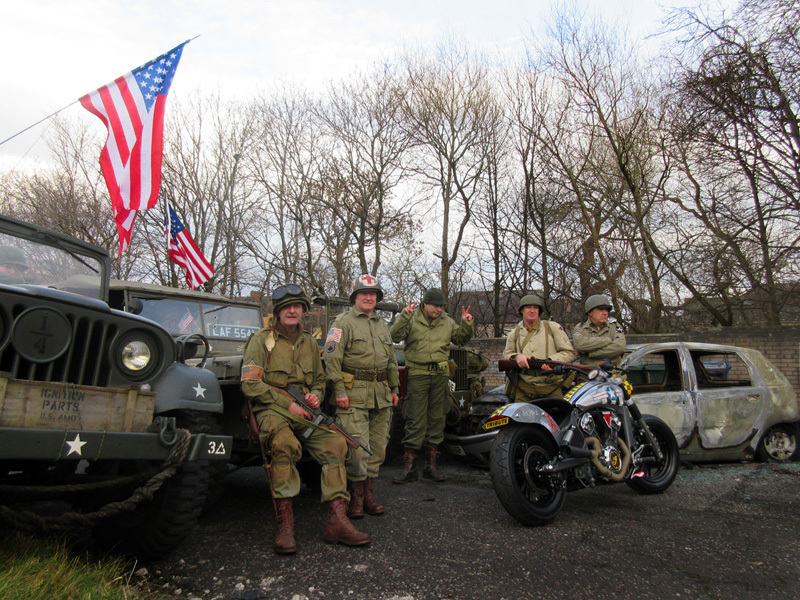 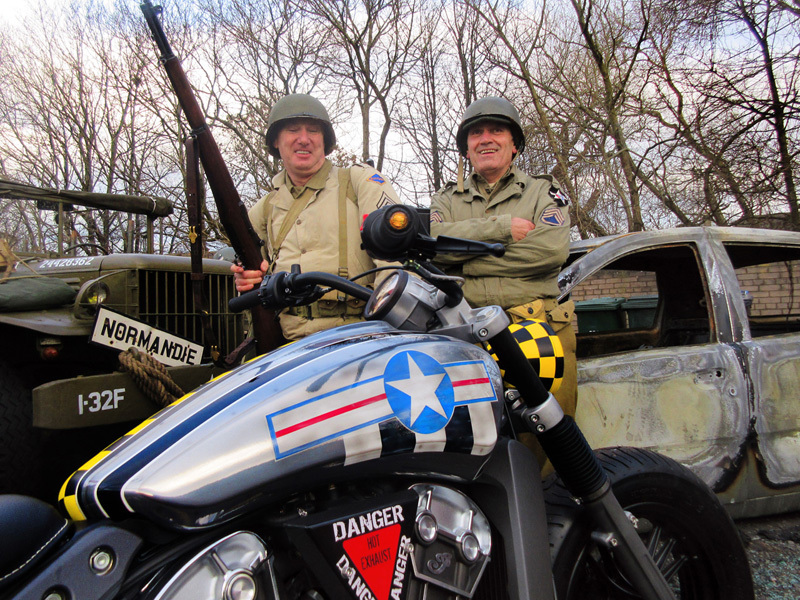 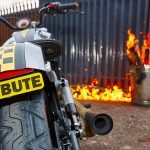 Help us win Project Scout for your chance to win a pair of tickets to Motorcycle Live show, 2 tickets for the evening with Steve Parrish at Saltire Motorcycles on 2nd December, 2 tickets for the evening with Nick Sanders on 3rd December. 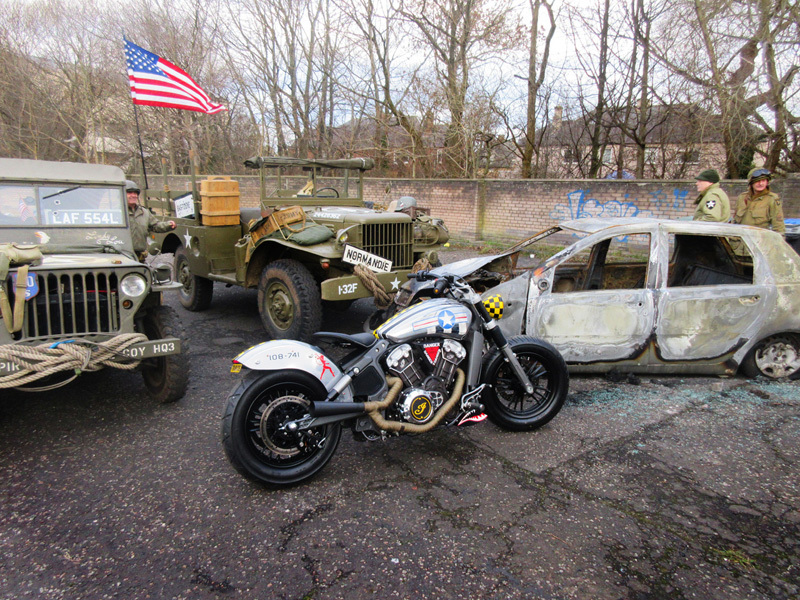 more photos you like the better! 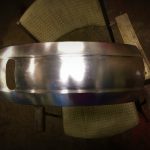 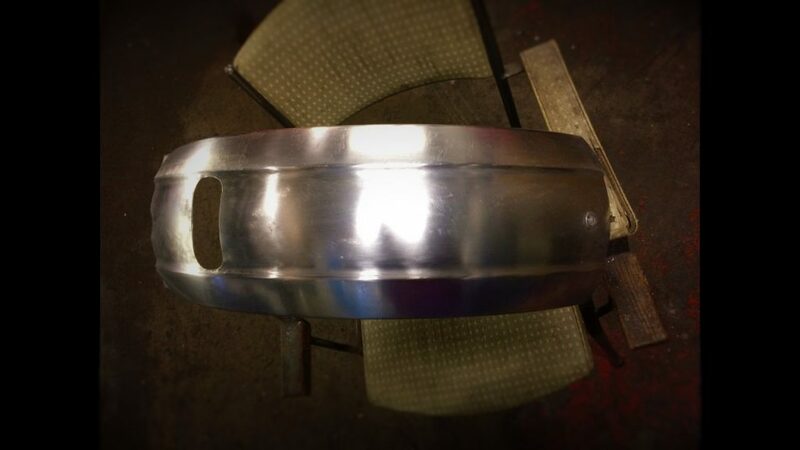 Bodywork - stripped bare to the metal and rubbed with the flow of the grain. 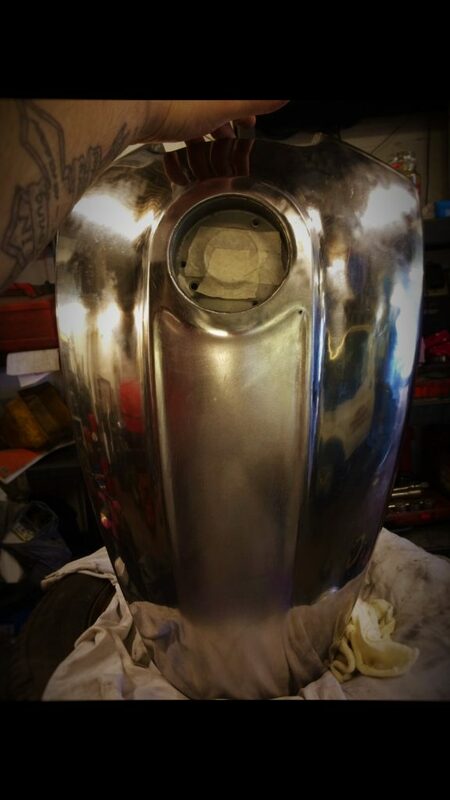 Base laquered, painted as seen then final clear coat and rub down. 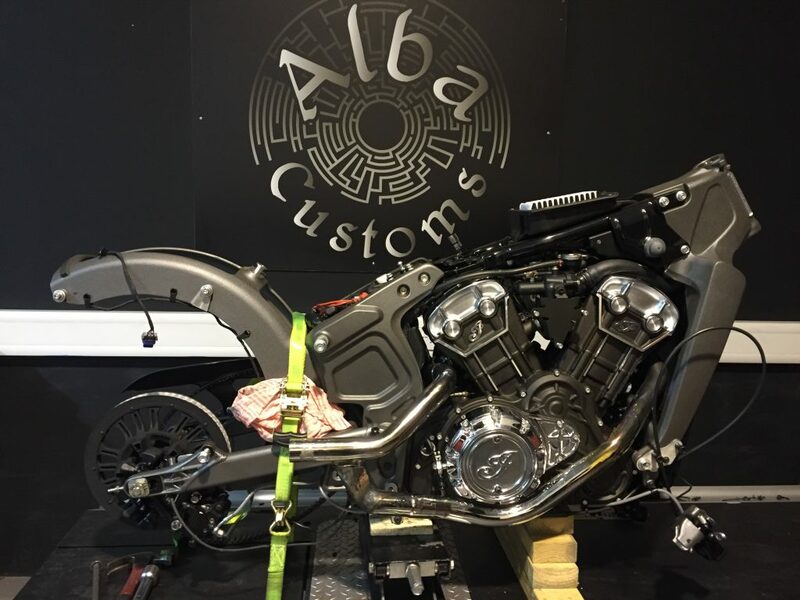 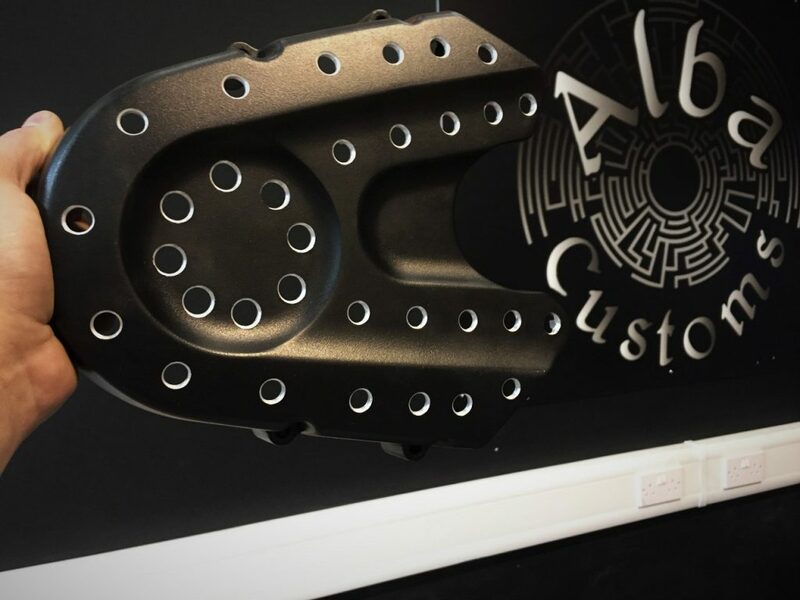 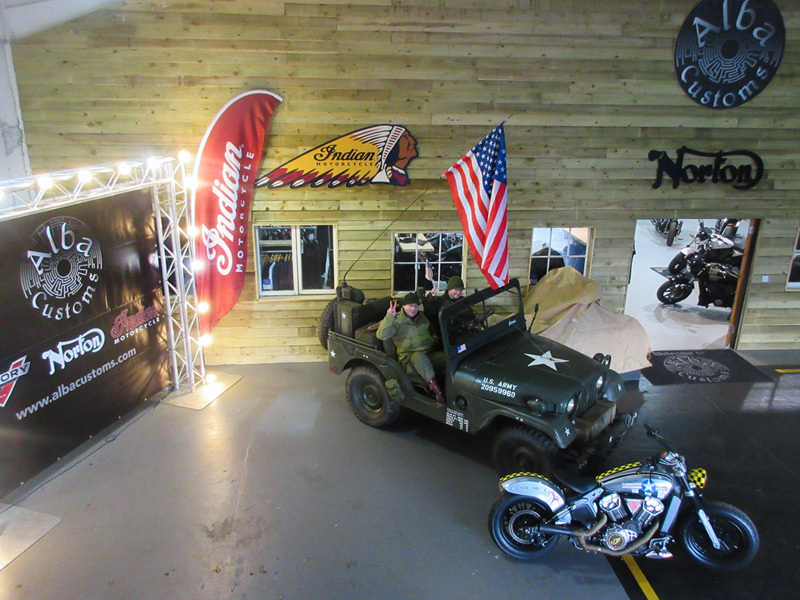 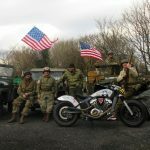 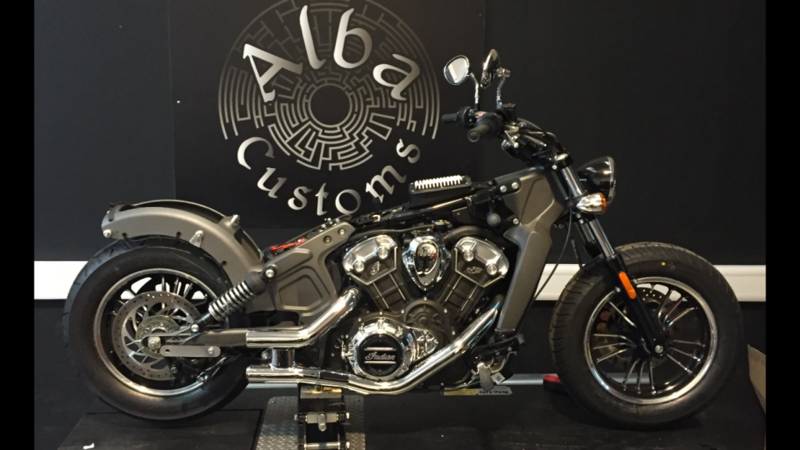 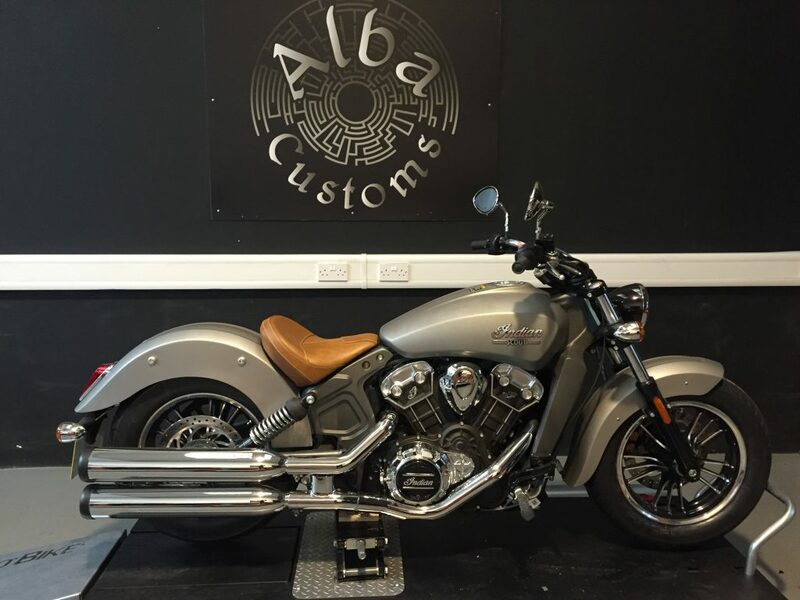 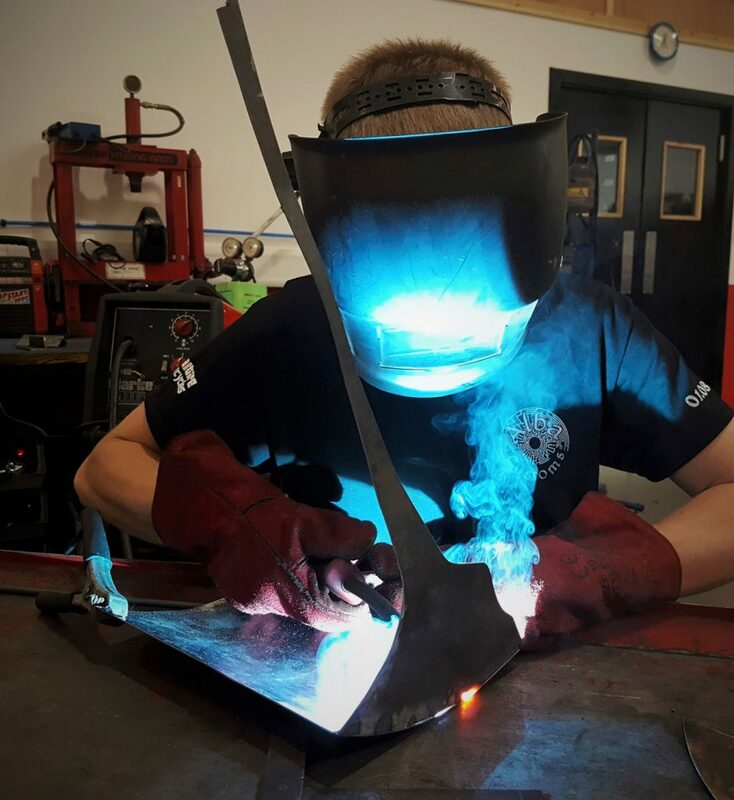 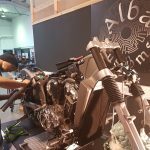 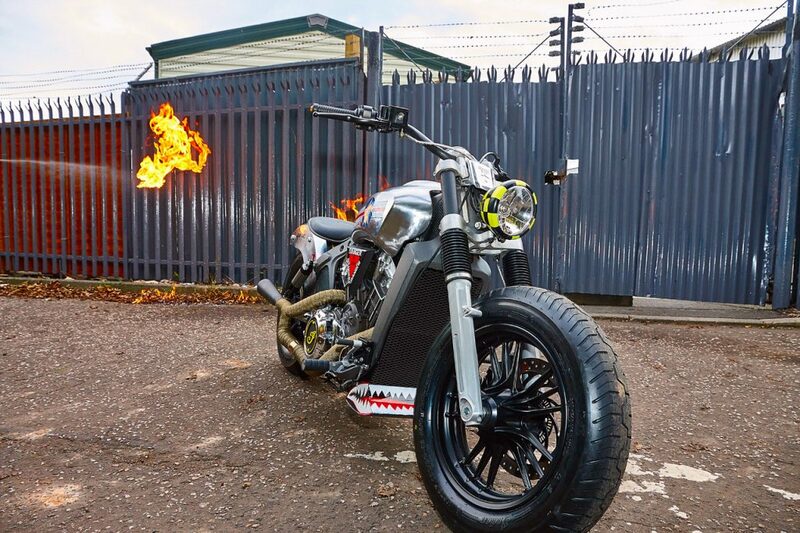 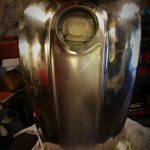 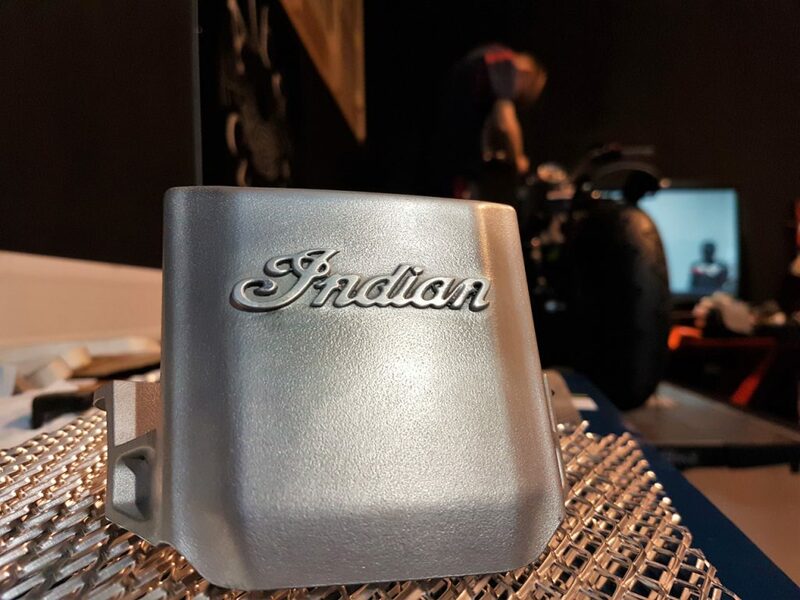 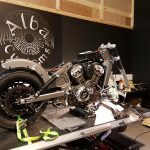 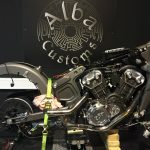 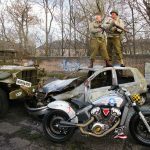 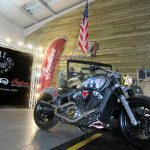 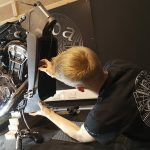 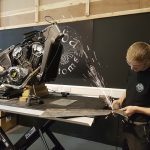 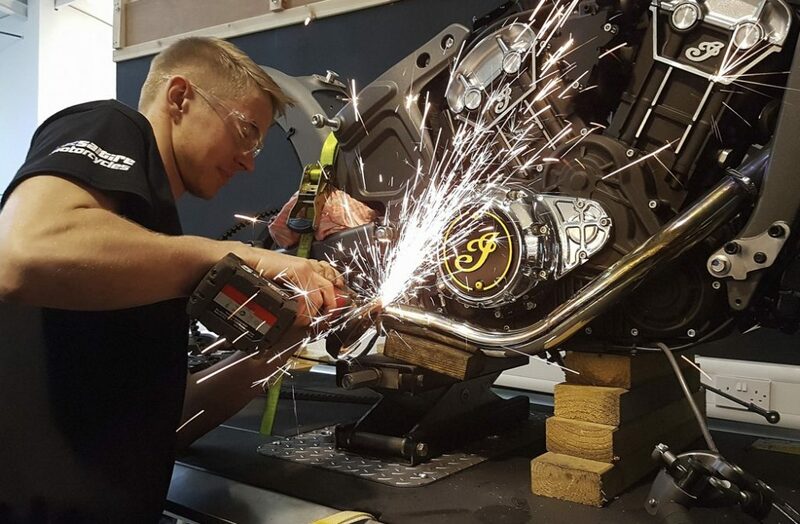 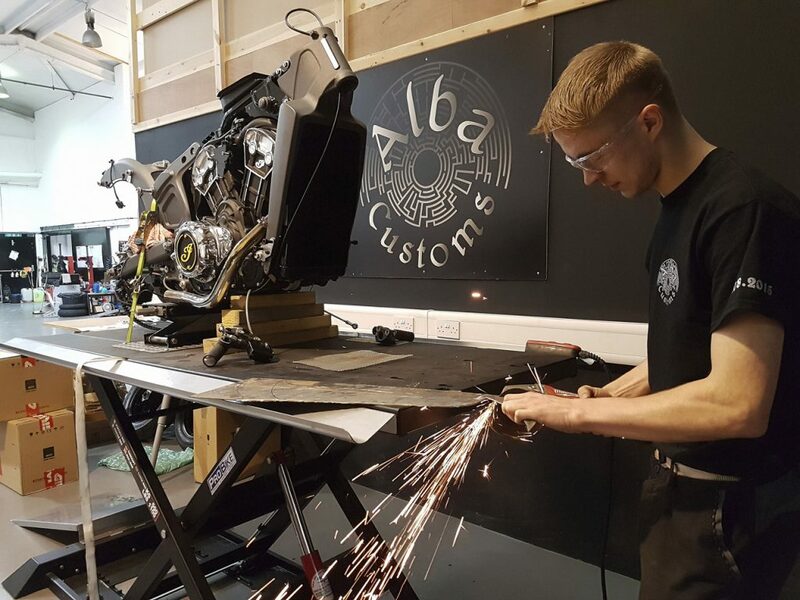 Alba Customs are delighted to be taking part in the Indian Motorcycle dealers competition "Project Scout – Build a Legend" which is being held in conjunction with Motorcycle Live 2016. 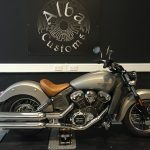 The Custom scene continues to grow and with the arrival of Scout Sixty from £8,999, the Scout Family is quickly becoming an affordable platform for some of the best custom builders in the business. 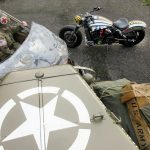 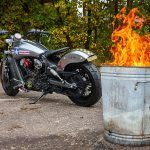 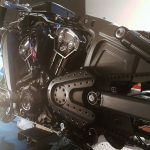 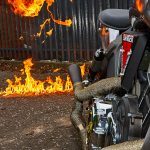 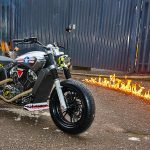 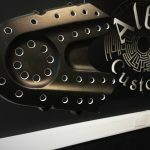 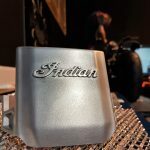 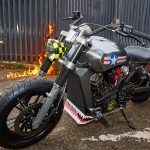 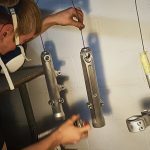 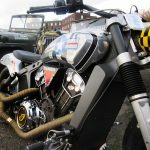 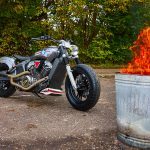 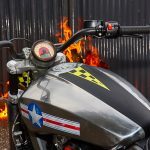 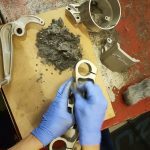 Last year, saw the development of several stunning Indian custom bikes and, the latest “Wall of Death” project made famous by Guy Martin and Channel Four. 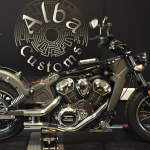 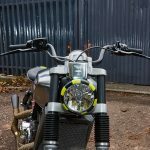 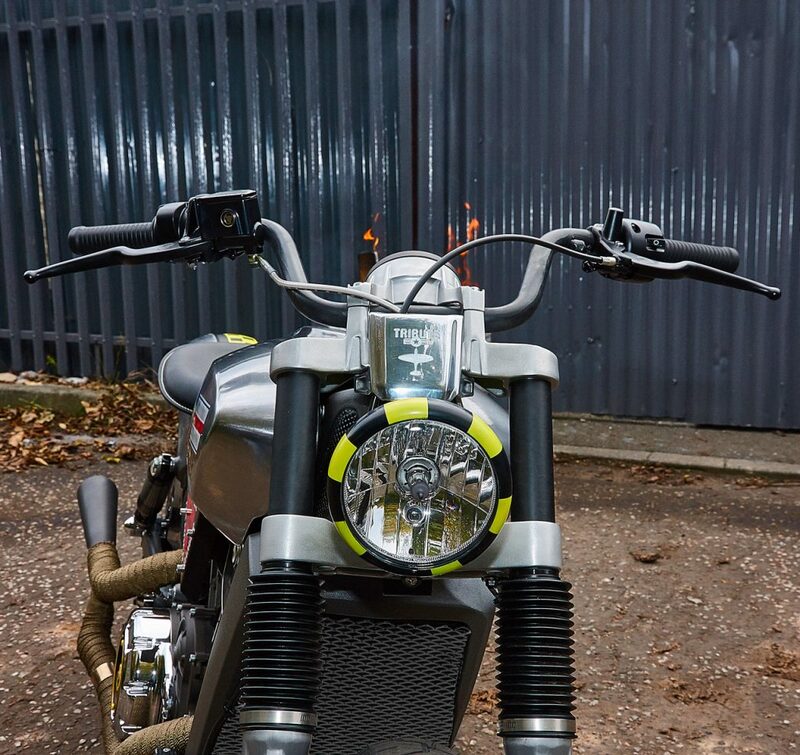 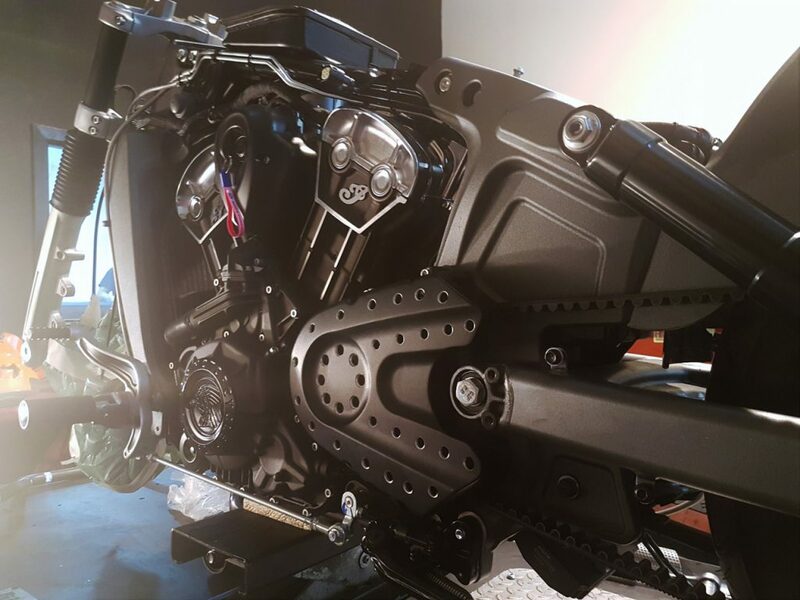 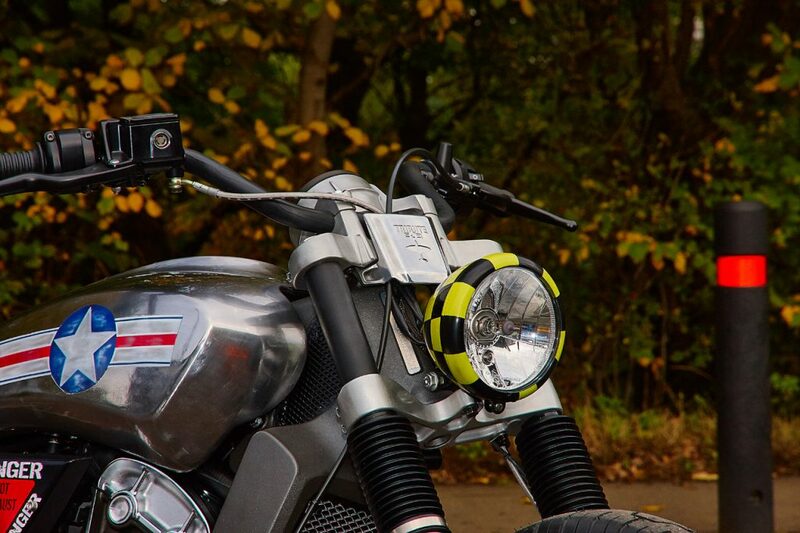 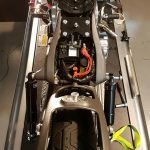 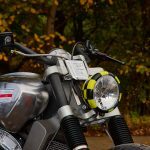 To build a custom Scout or Scout 60 using a minimum of three genuine Indian Accessories, and a minimum of one aftermarket accessory. 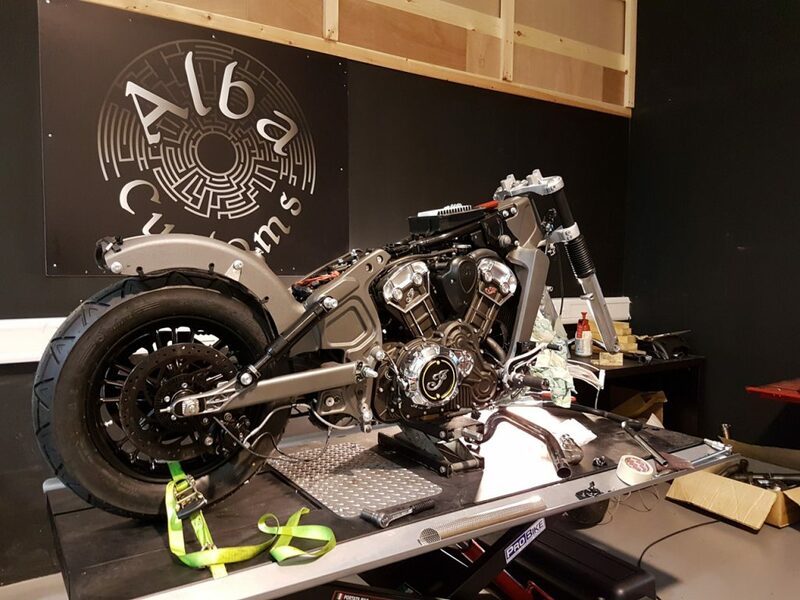 The build to be completed by Friday 28th October 2016. 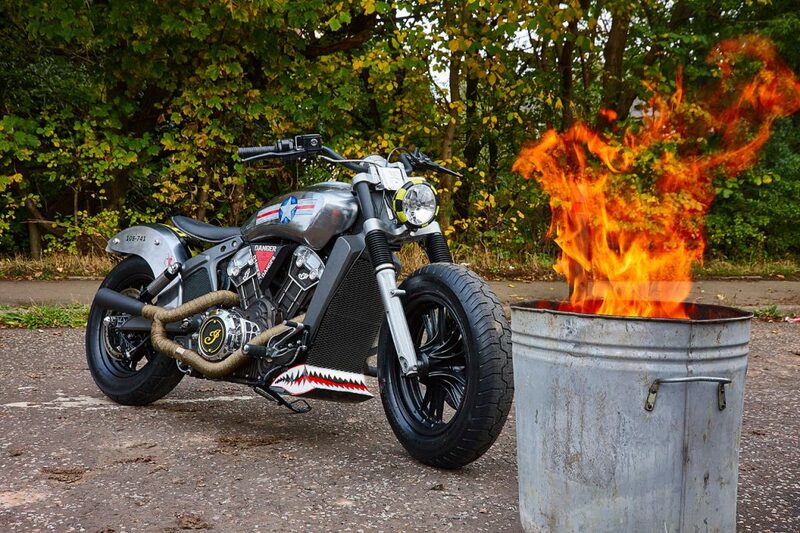 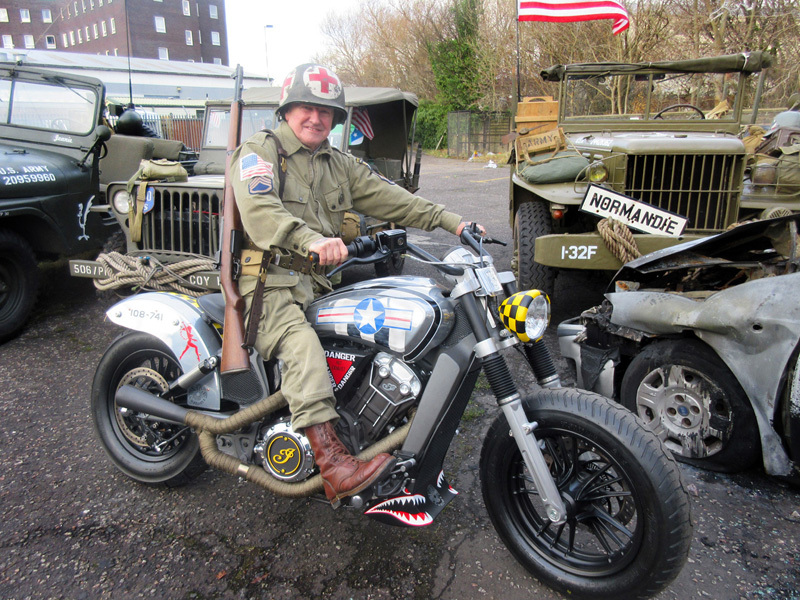 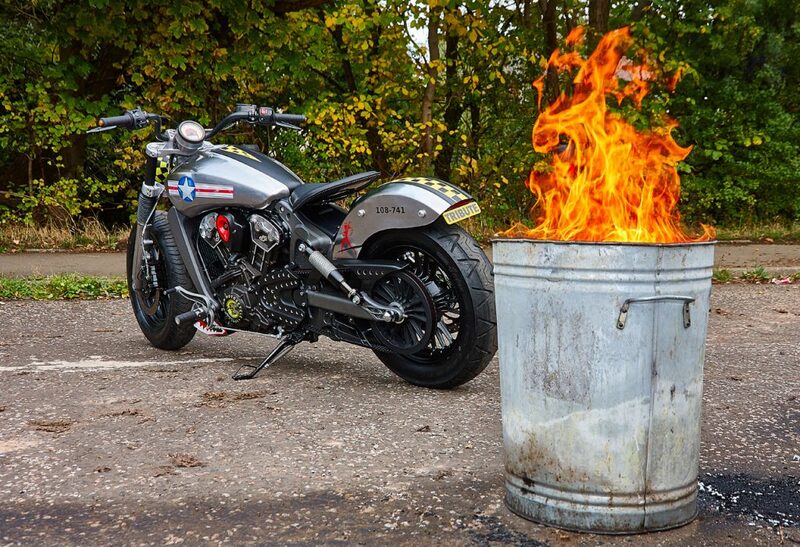 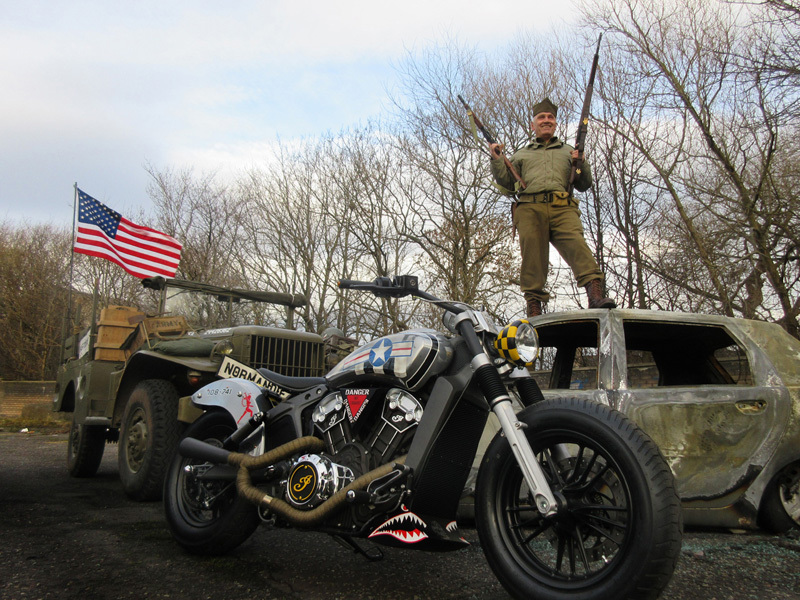 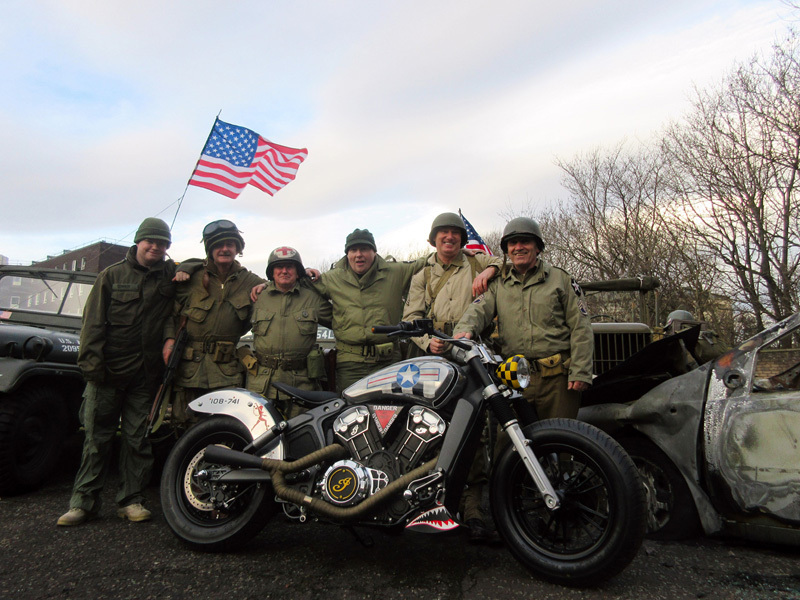 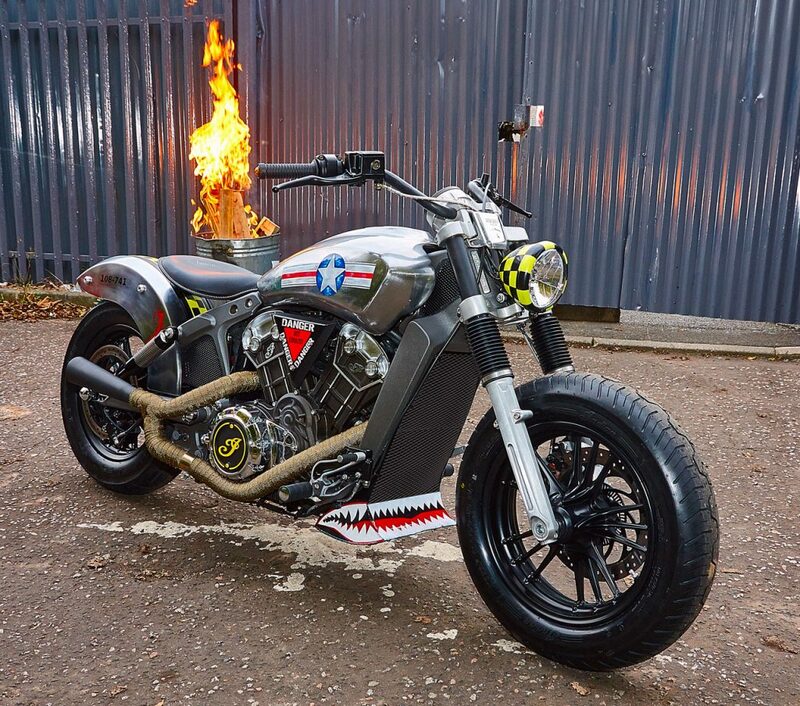 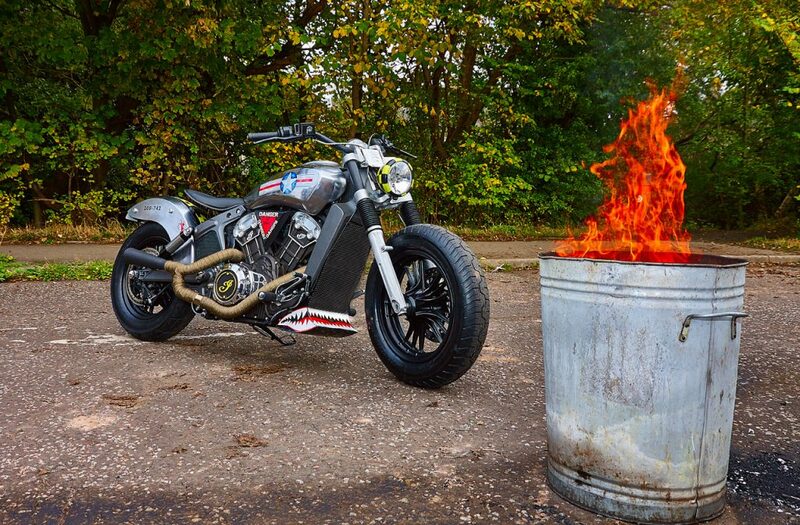 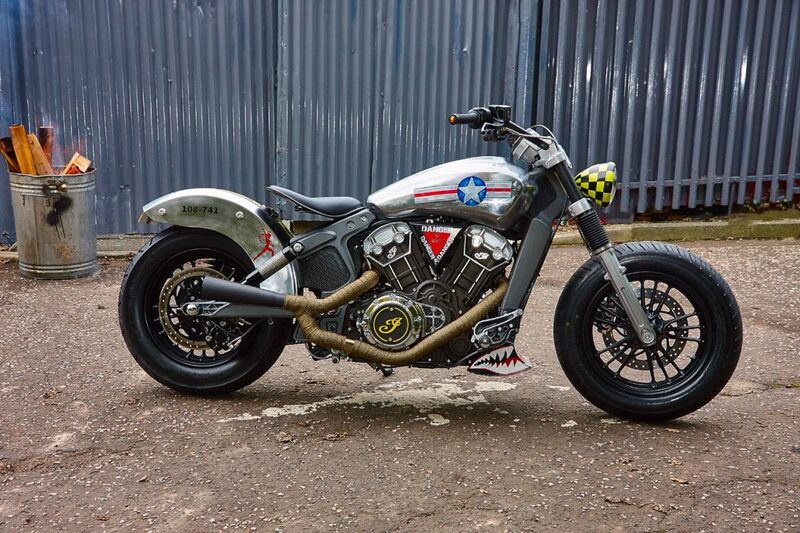 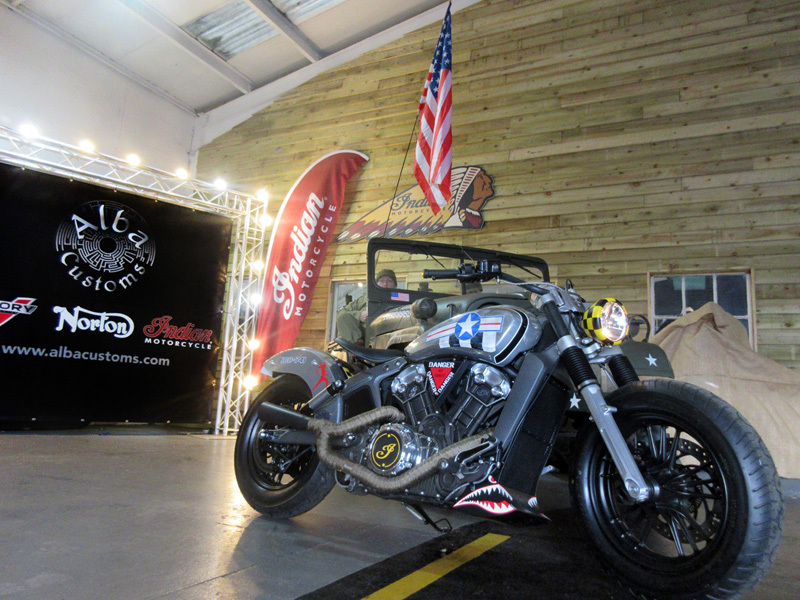 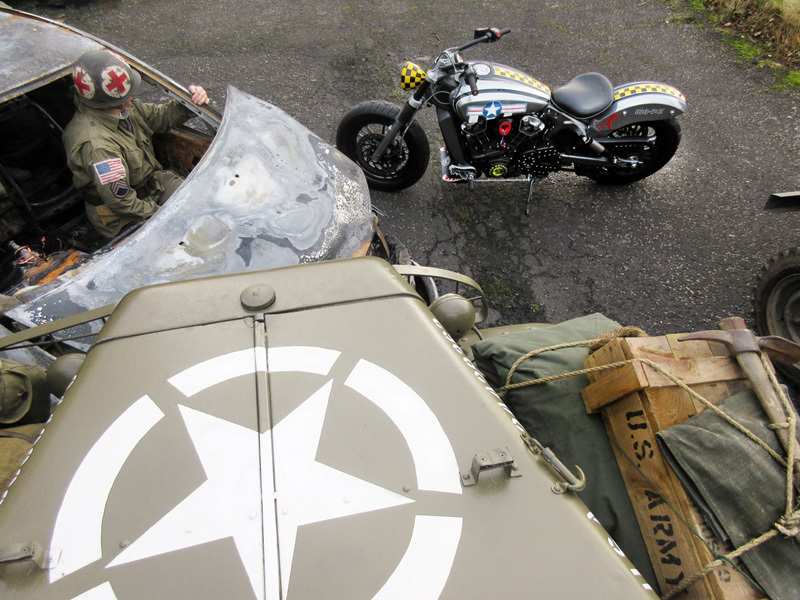 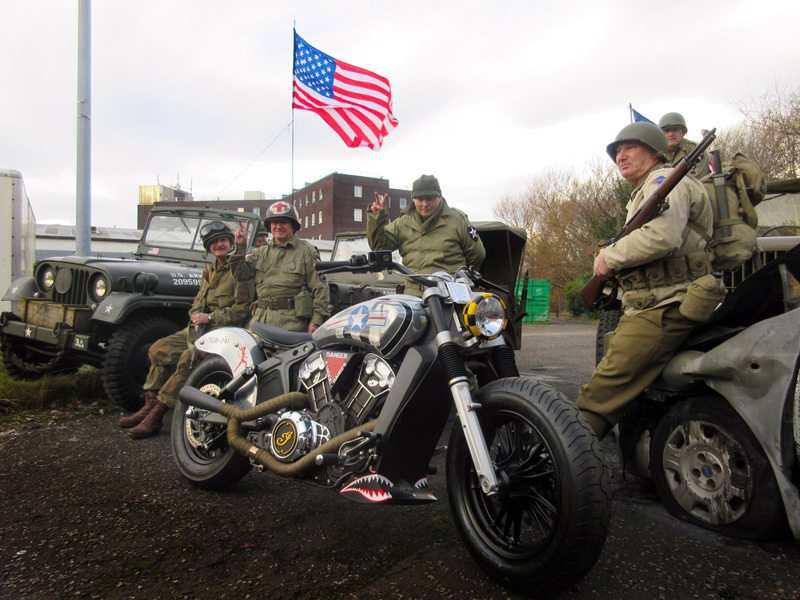 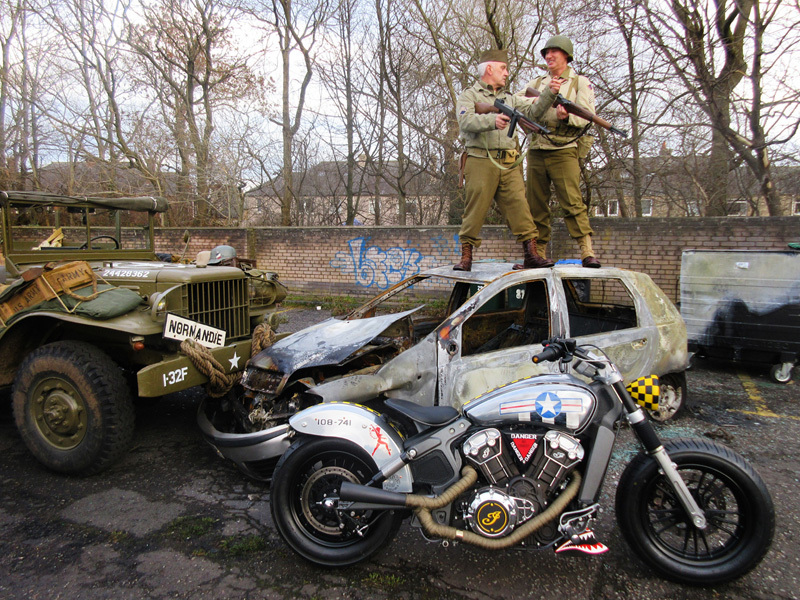 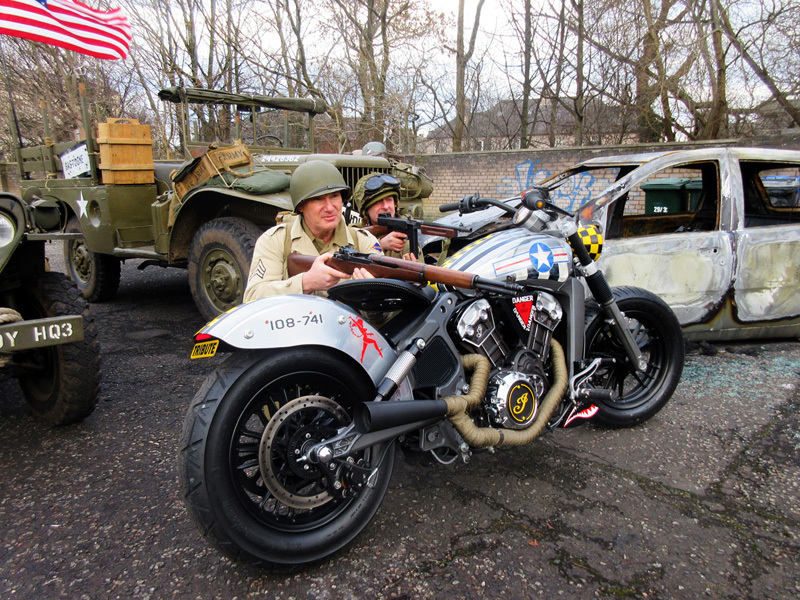 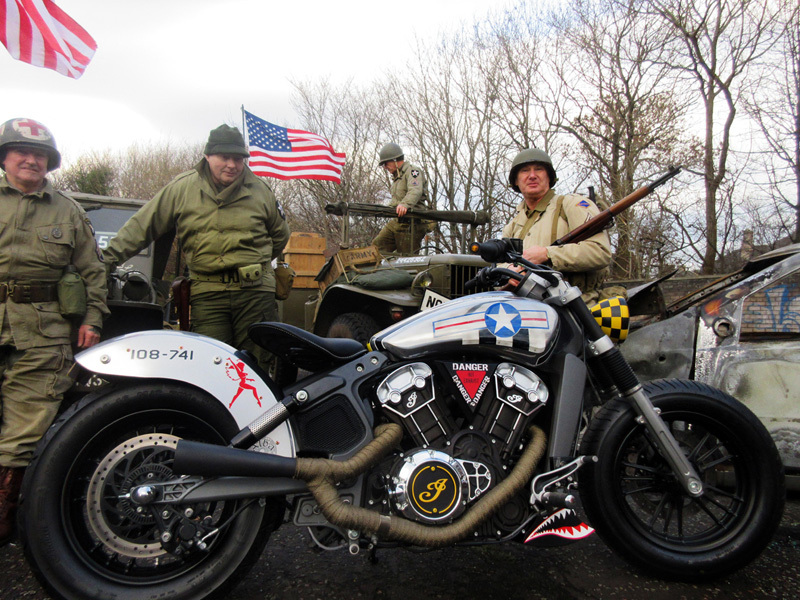 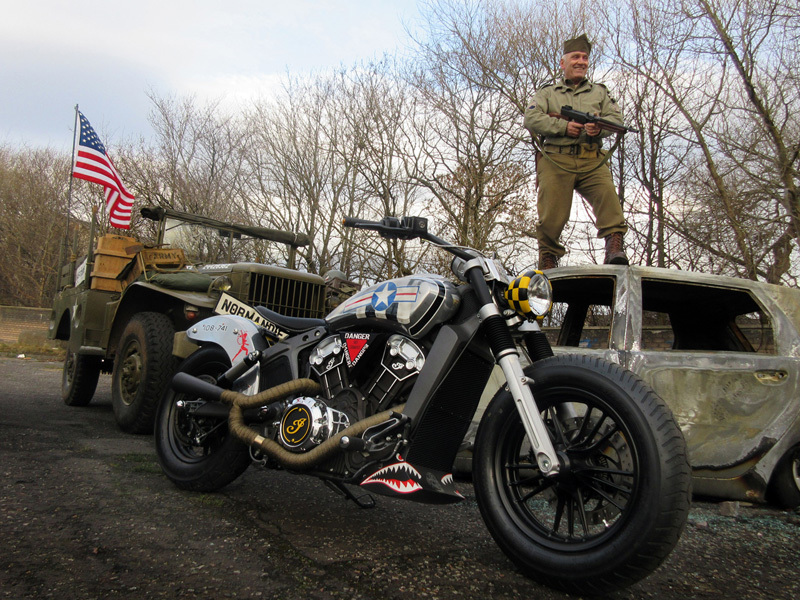 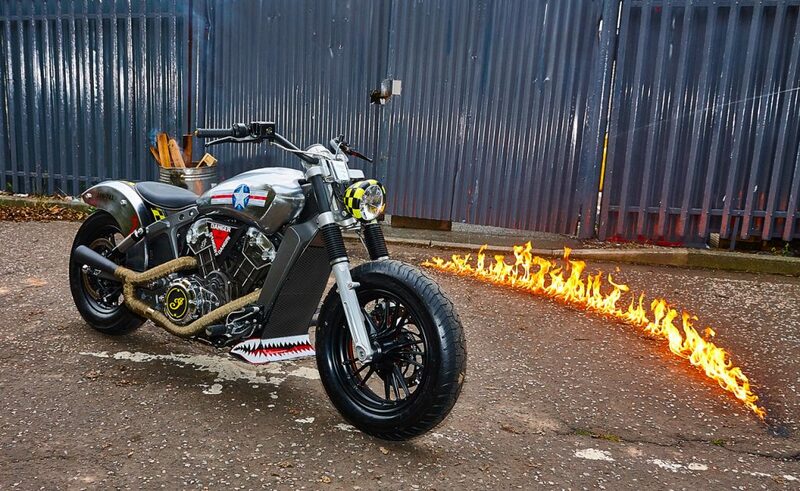 Vote on our project Indian Scout and be entered into a prize draw to WIN! 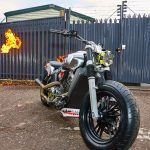 Voting will take place live at Motorcycle Live, between Saturday 19th and Saturday 26th November at the NEC, Birmingham. 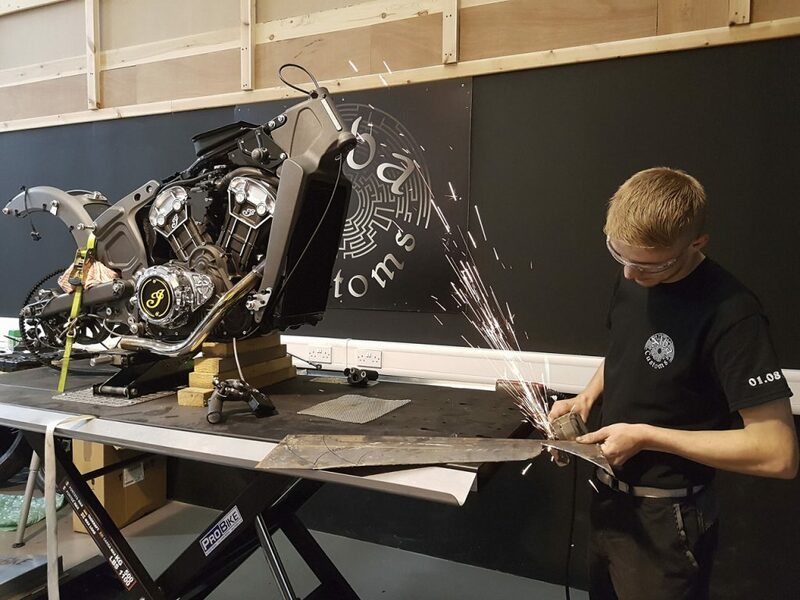 Follow us on social media for updates on the project and for your chance to WIN a pair of tickets to Motorcycle Live. 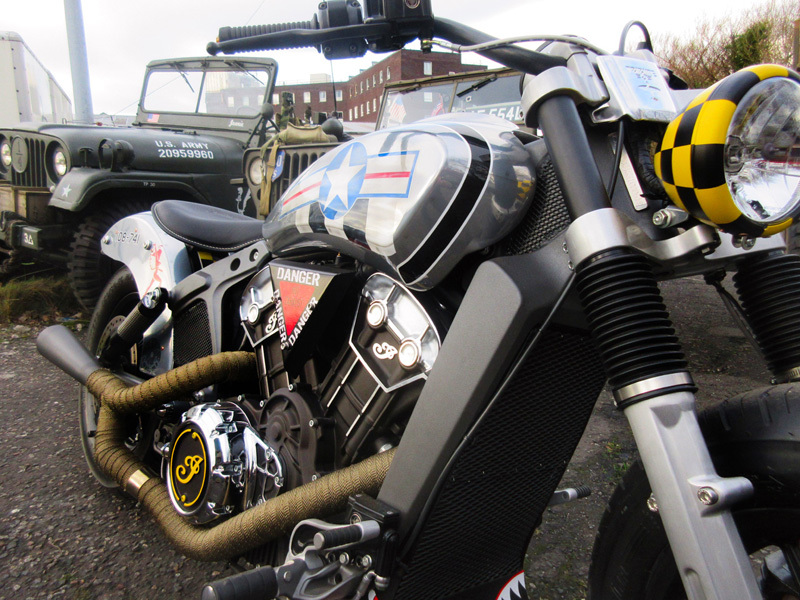 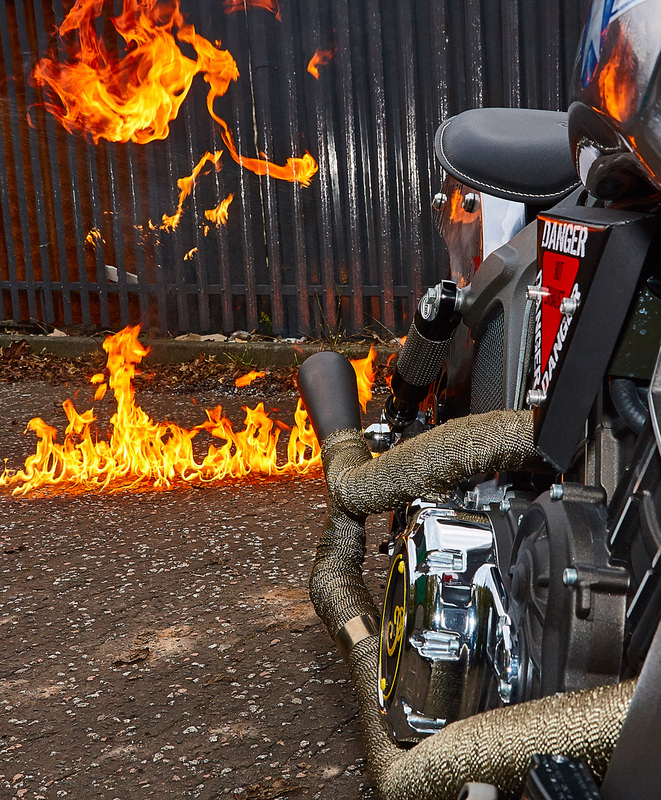 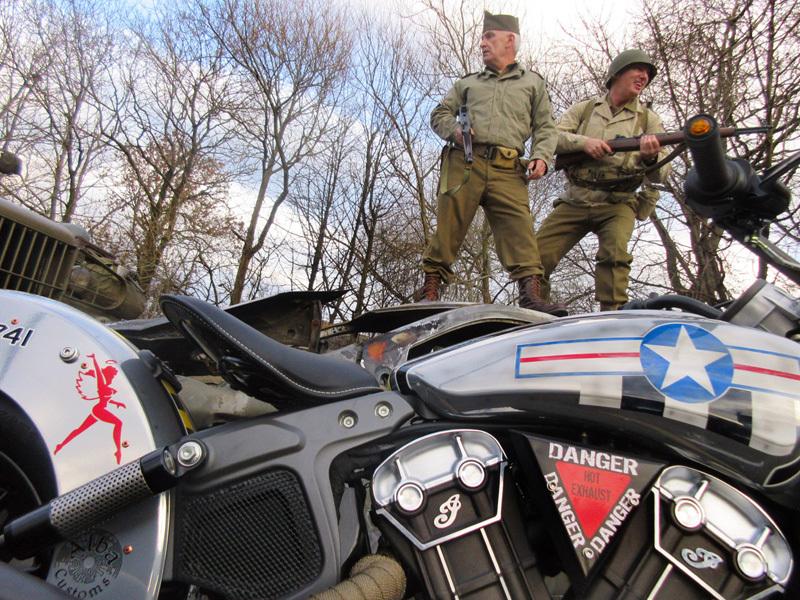 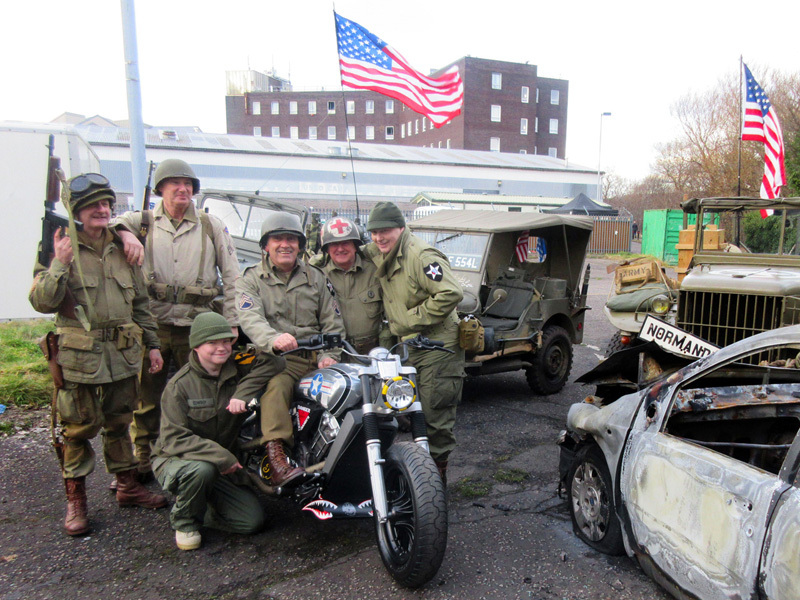 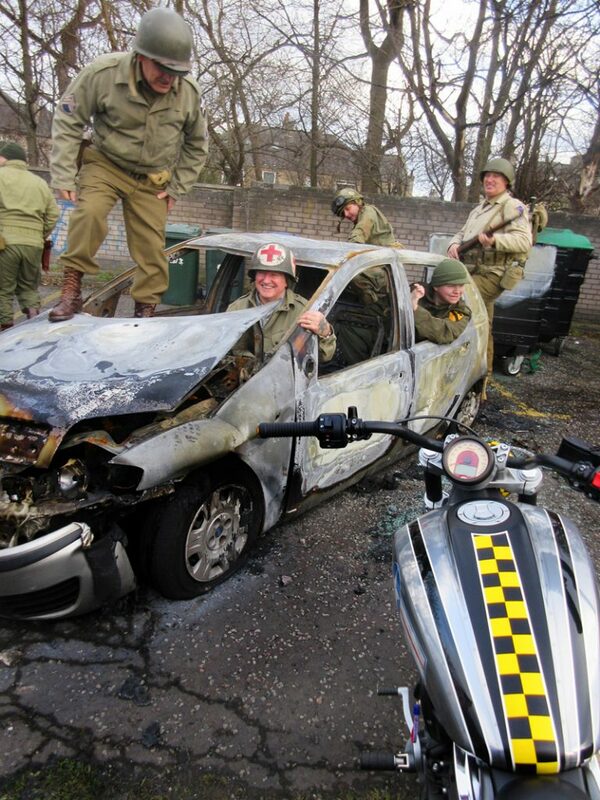 Motorcycle Live is a fantastic day or weekend out for all motorcycle enthusiasts. 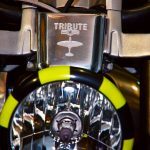 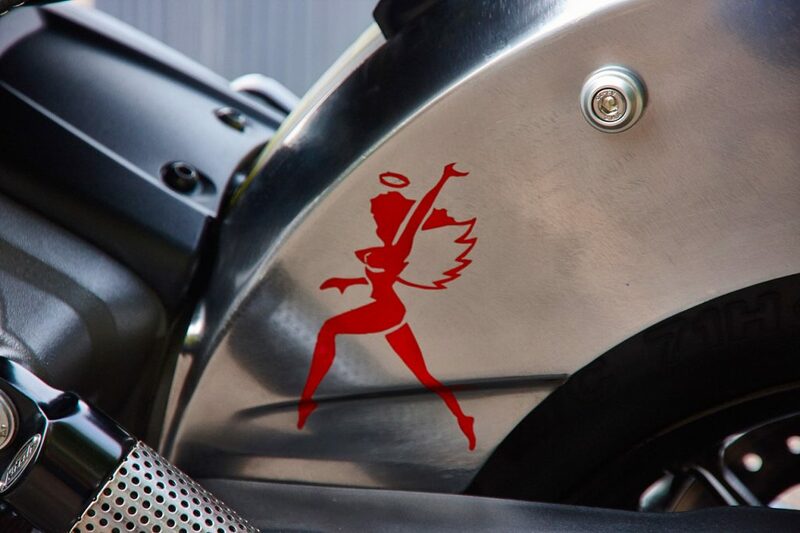 Representing the best products, bikes & services available from leading companies across the globe - the show is a haven for bikers of any age, or level of experience. 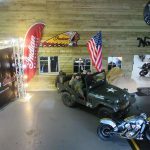 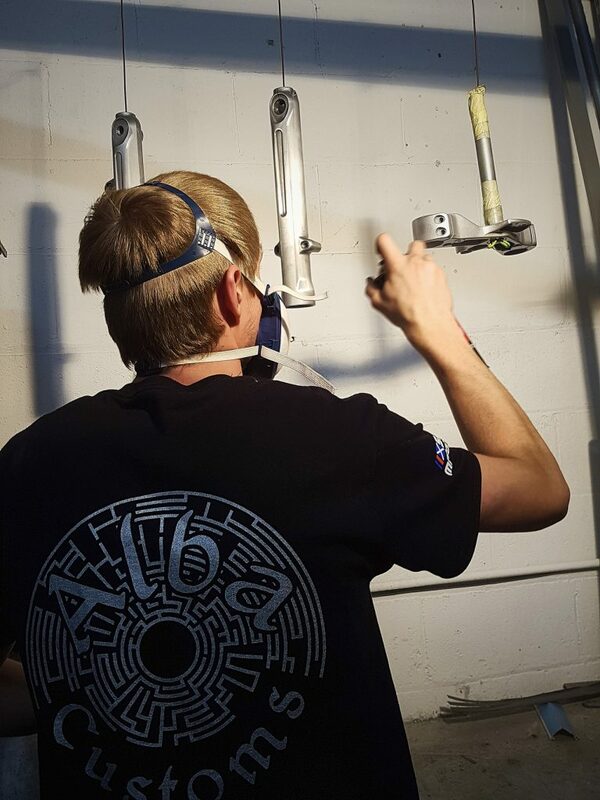 The show offers many opportunities to ride, give you ideas to try something new or travel unchartered territory – there are endless chances to explore what biking has to offer. 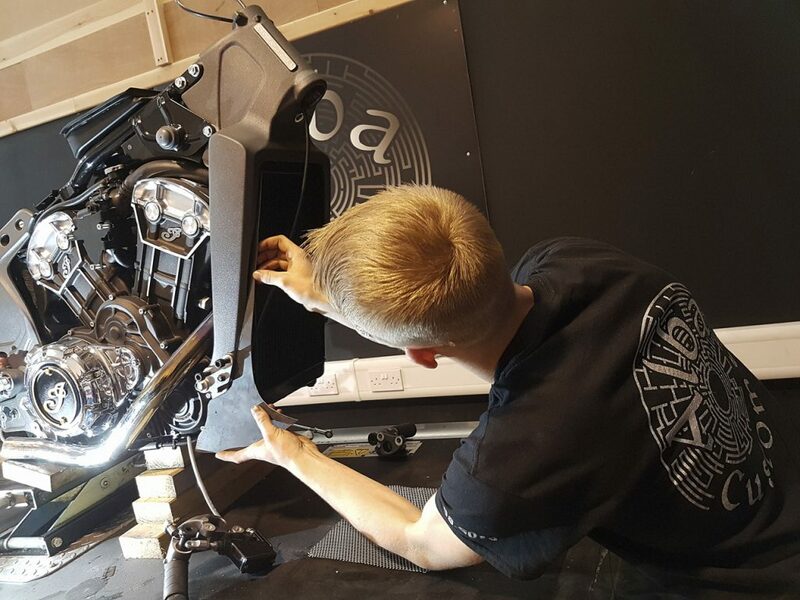 The Manufacturers will be out in force offering the chance to sit on, compare, admire, question, photograph and indulge your passion. 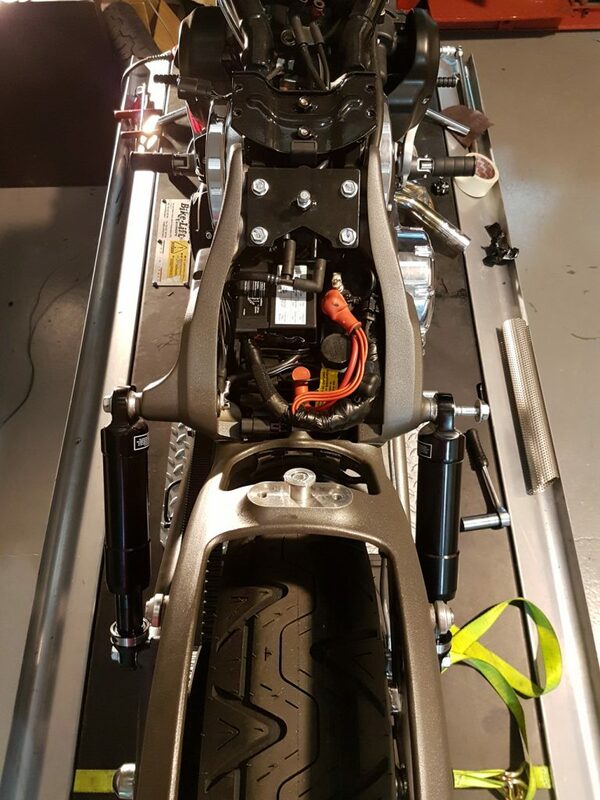 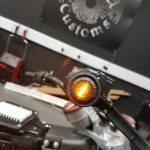 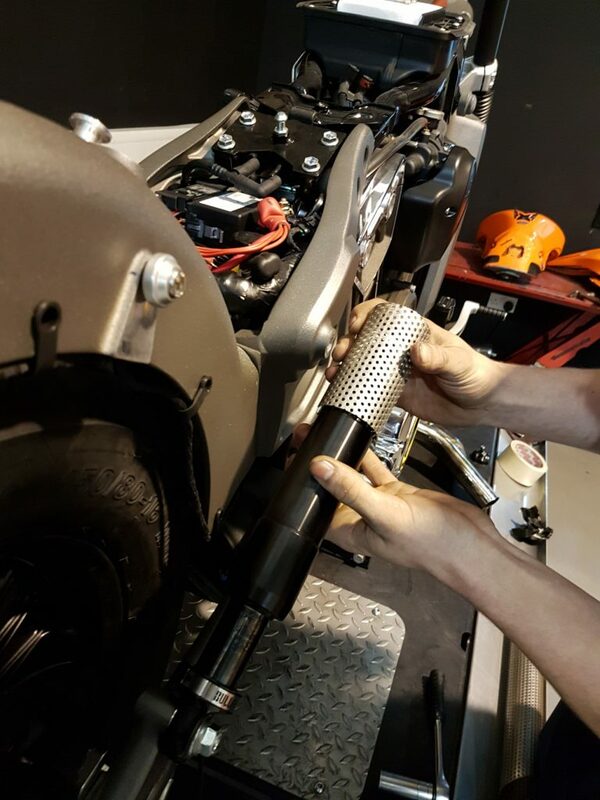 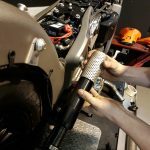 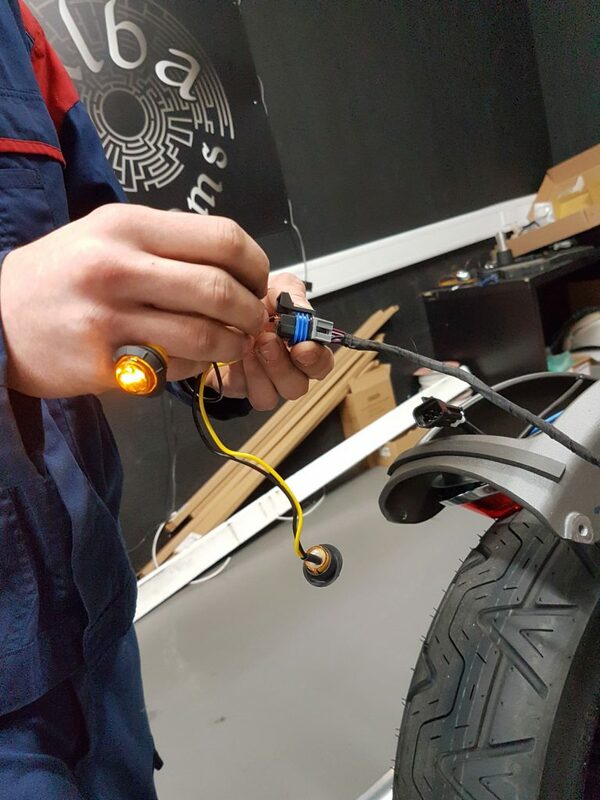 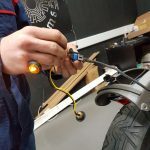 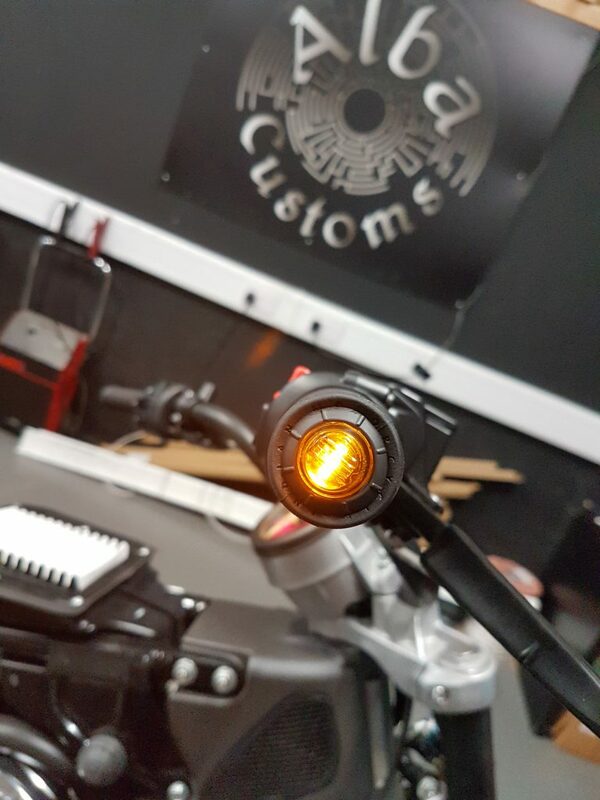 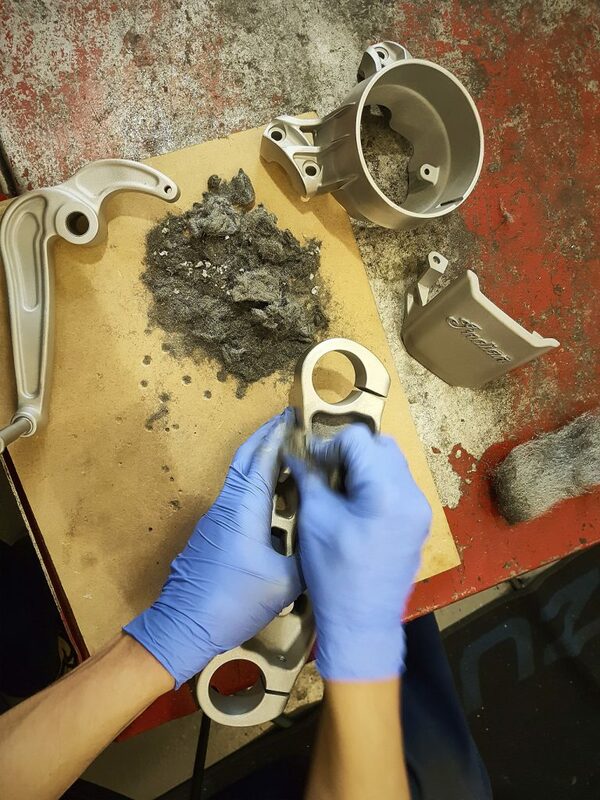 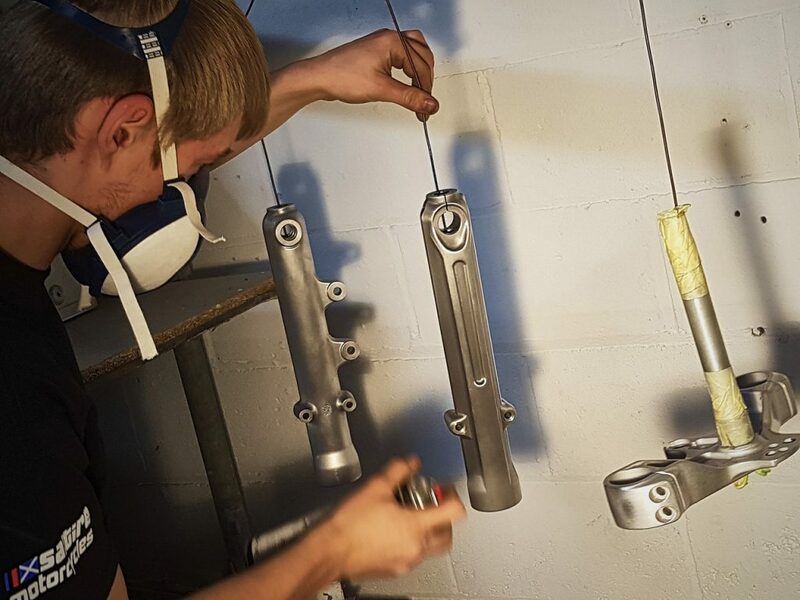 You can also get your hands on the latest technology to enhance your ride at the only place in the UK you’ll find so many different motorcycle companies under one roof. 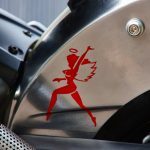 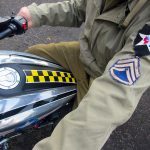 Whether you’re in the market for leathers, helmets, boots, heated clothing, travel ideas, merchandise or products to keep your pride and joy safe – Motorcycle Live is the perfect place to research, compare & get advice on what’s best for you.